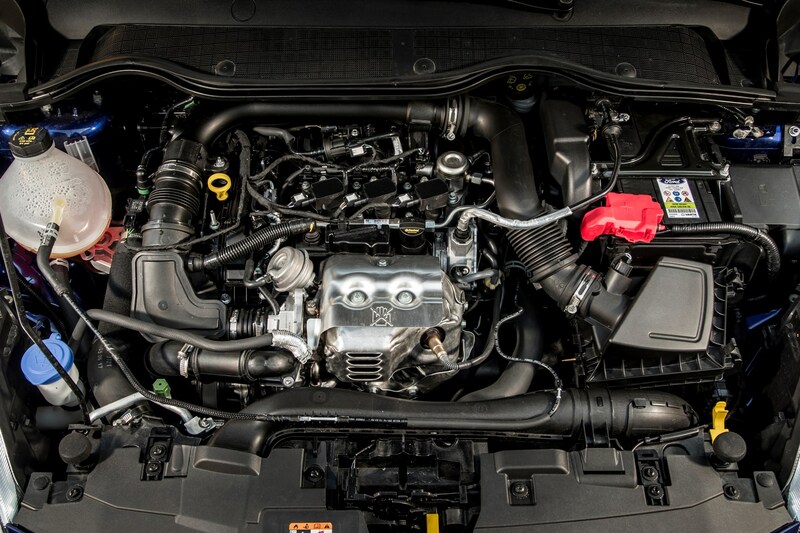 Insurance group: 2 - 15 How much is it to insure? 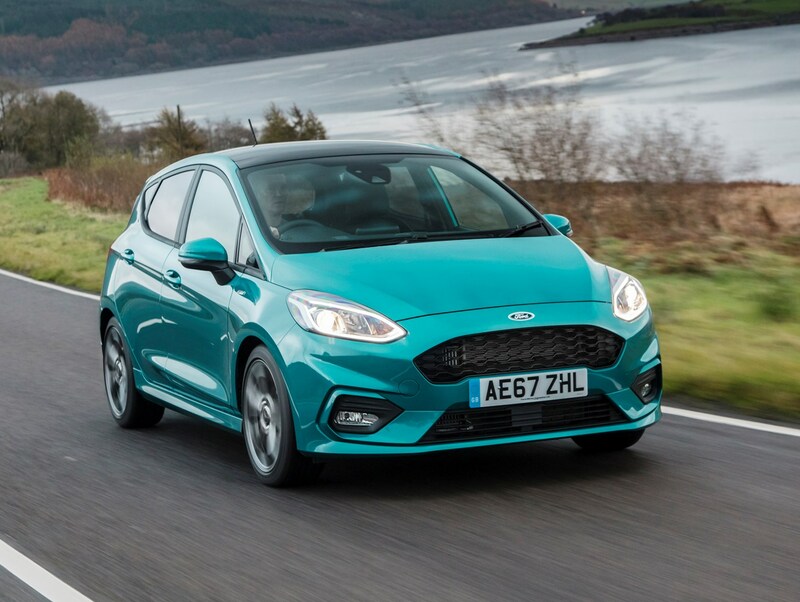 It may be over 40 years since the Ford Fiesta was first offered in the UK, but the car buying public’s enthusiasm for it shows no sign of abating. 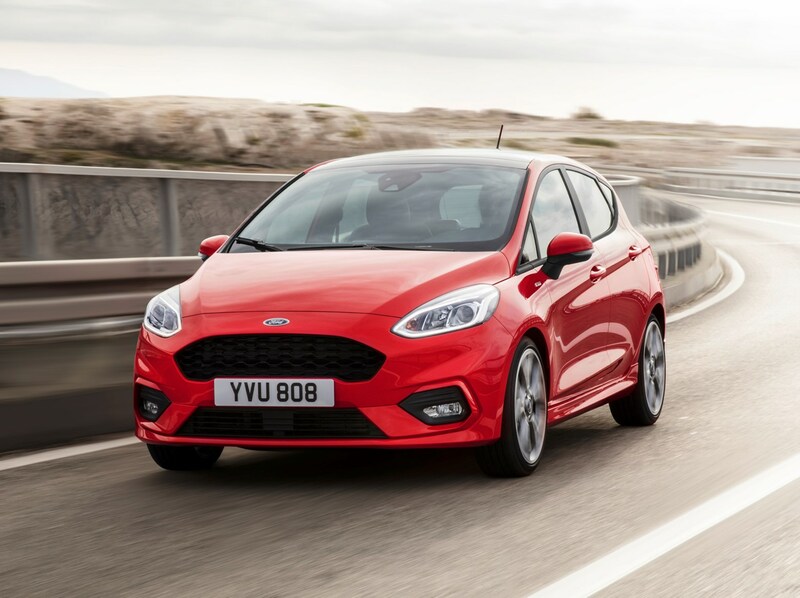 Britain’s bestselling car in 2018, the Fiesta has always had the magic formula of a fun drive, spacious interior and solid build quality, while new tech and a revamped interior have only worked to strengthen its hand. 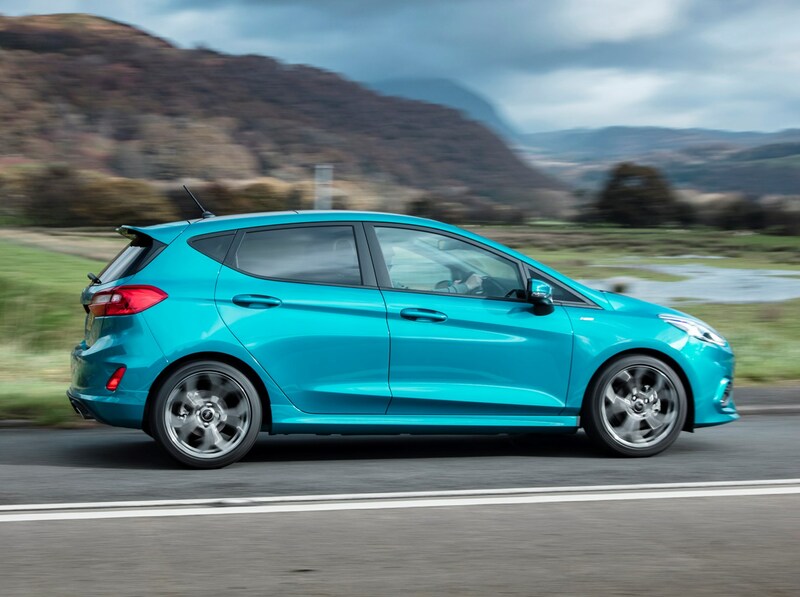 What’s more impressive is the level of competition it goes up against every year, with accomplished offerings such as the Volkswagen Polo, Renault Clio, Vauxhall Corsa and SEAT Ibiza all counted as rivals. 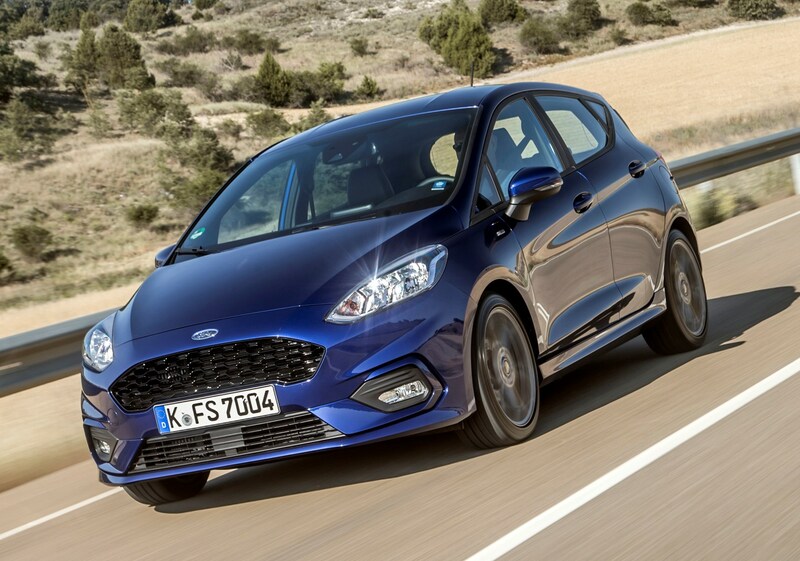 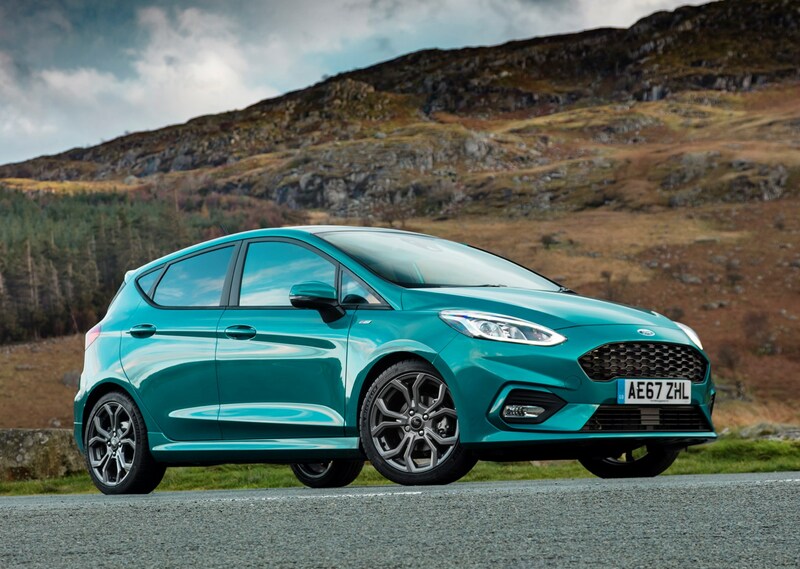 Further additions to the Fiesta range, such as the superb ST performance model and Active version, have broadened its already wide-ranging appeal. 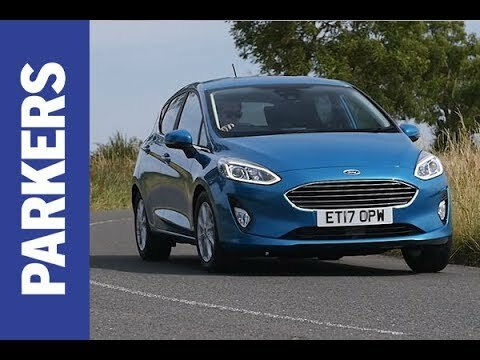 There are plenty of trim and engine combinations to pick from if you’re looking for a new Fiesta, with models taking in Style, Zetec, Titanium, ST-Line and Vignale and the hot hatch ST (plus a selection of B&O Play models spinning off Zetec and Titanium trims, as well as higher-spec ‘X’ versions of Titanium and ST-Line). 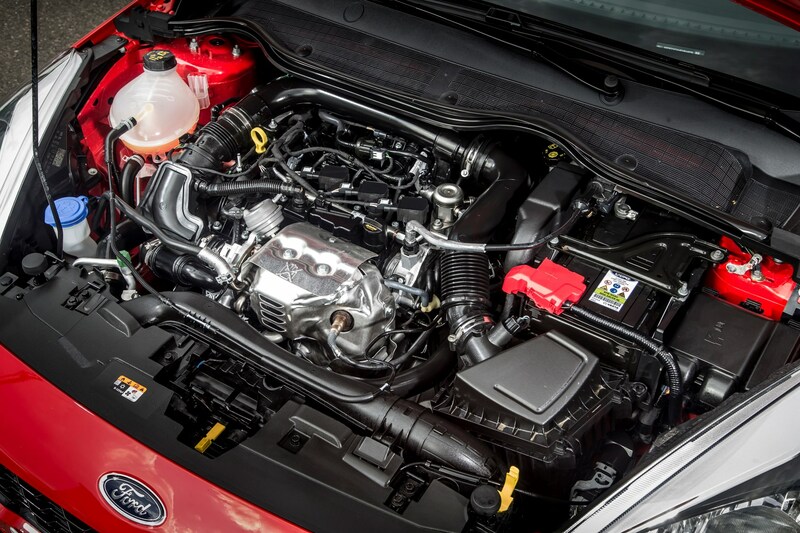 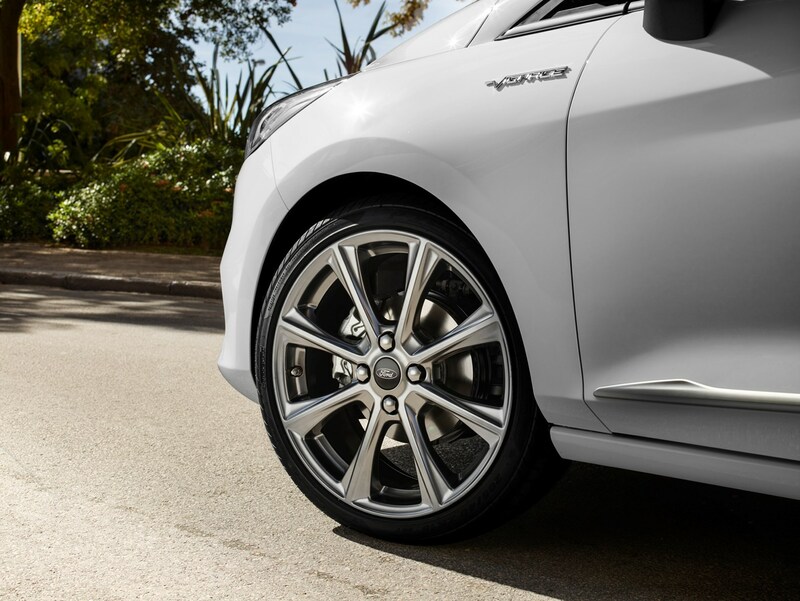 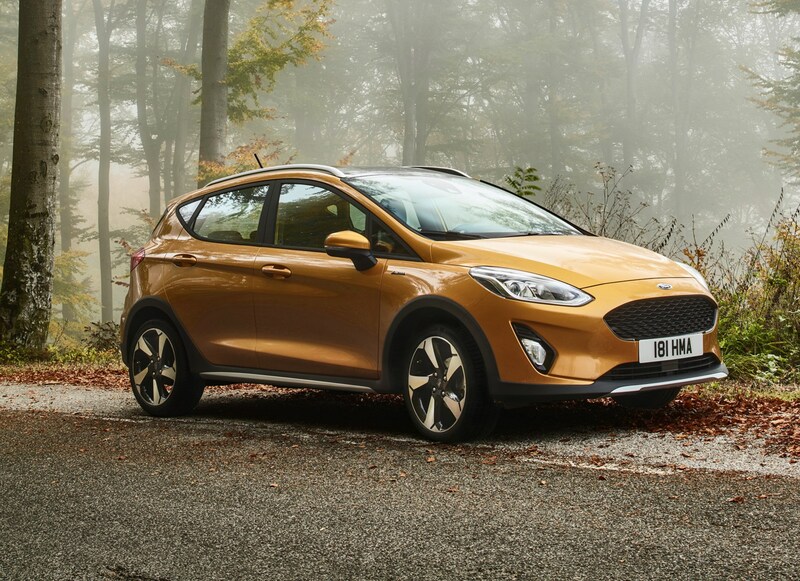 The most popular model in the line-up is the Zetec, with Titanium the next favourite among buyers powered by one of Ford’s impressively capable 1.0-litre EcoBoost petrol engines. 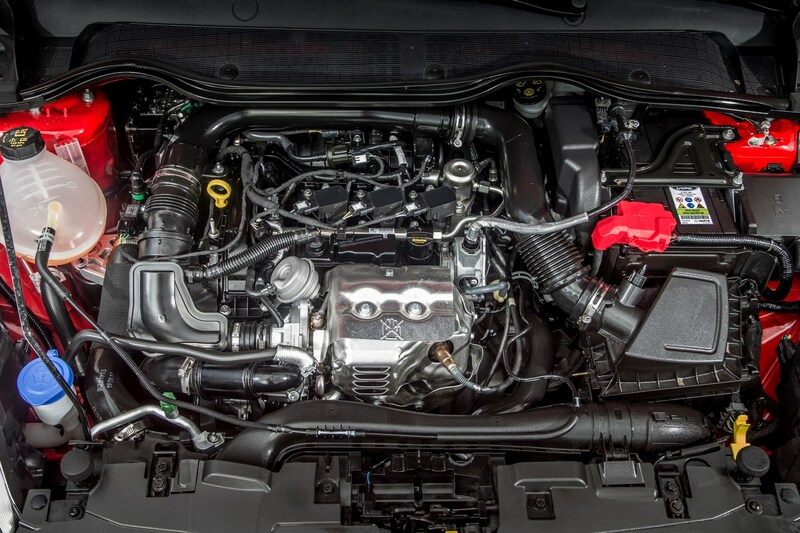 This engine is available with a choice of 100, 125 or 140hp outputs, plus there’s a 1.1-litre with 70 or 85hp available lower in the range. 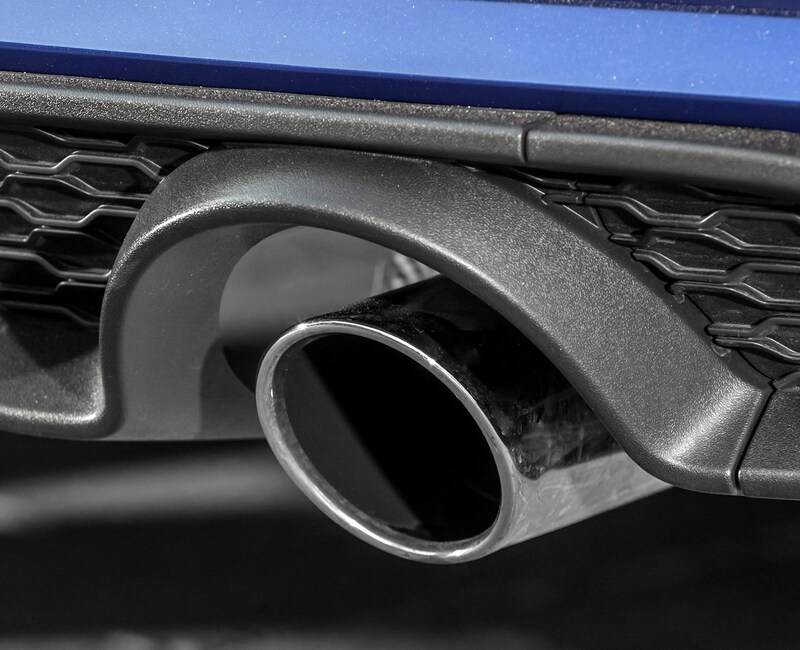 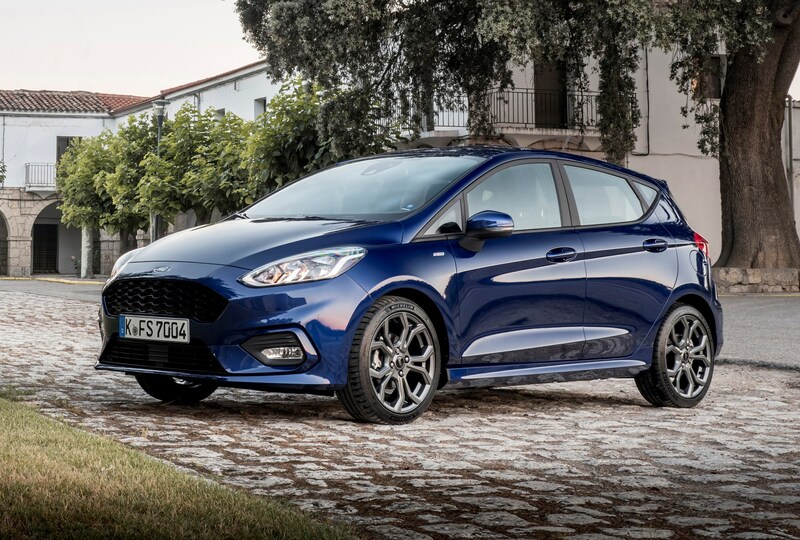 If you prefer diesel power, there’s a 1.5-litre TDCi diesel with 75 or 120hp (depending on the spec you choose), while Fiesta ST models come with a 1.5-litre turbo petrol producing 200hp. 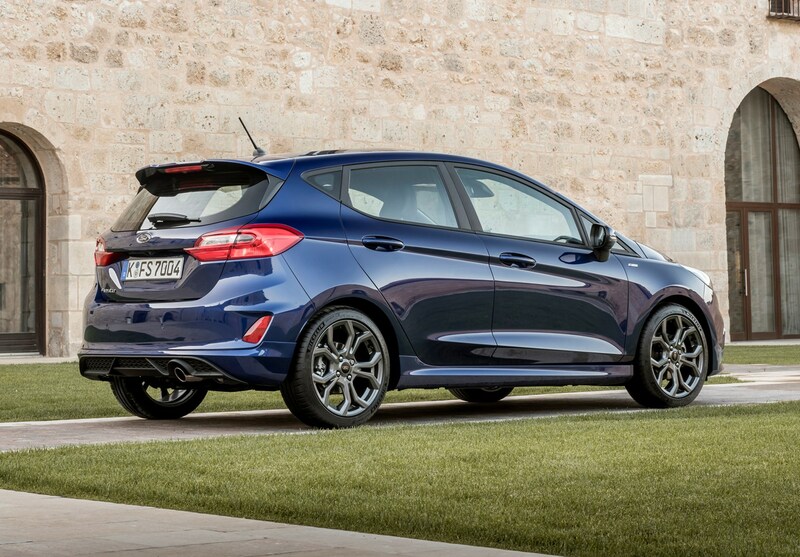 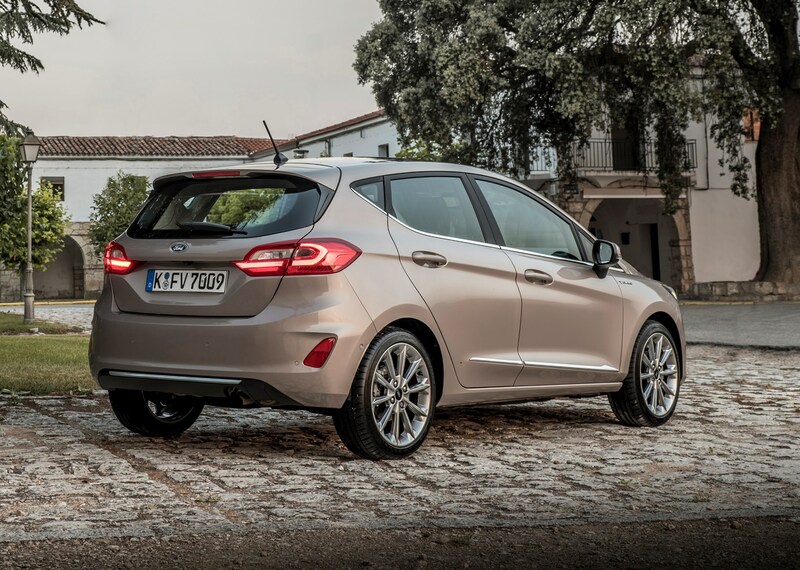 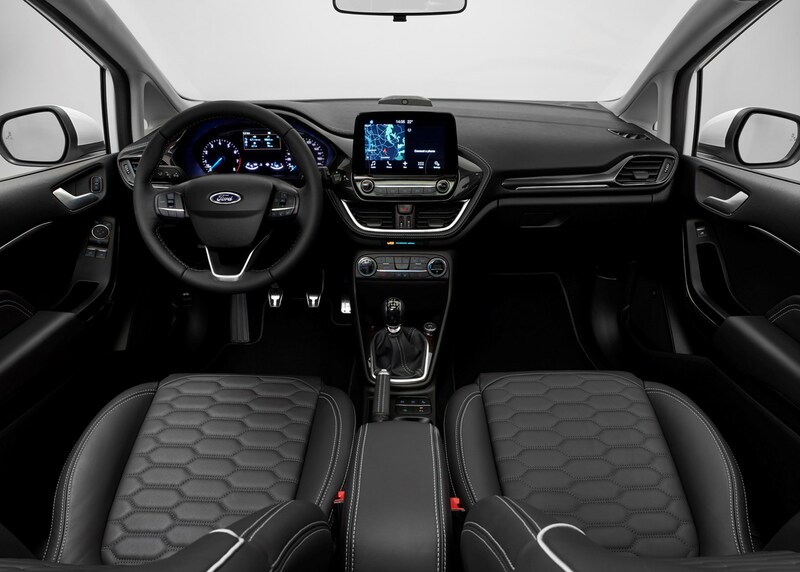 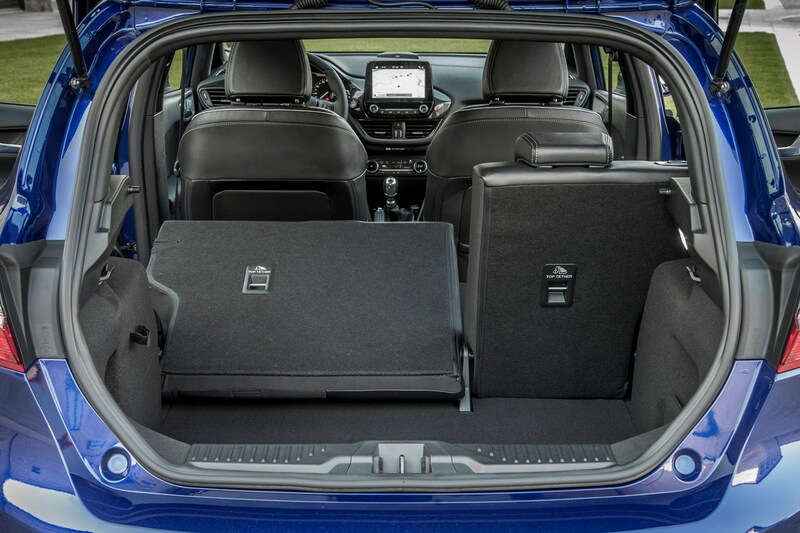 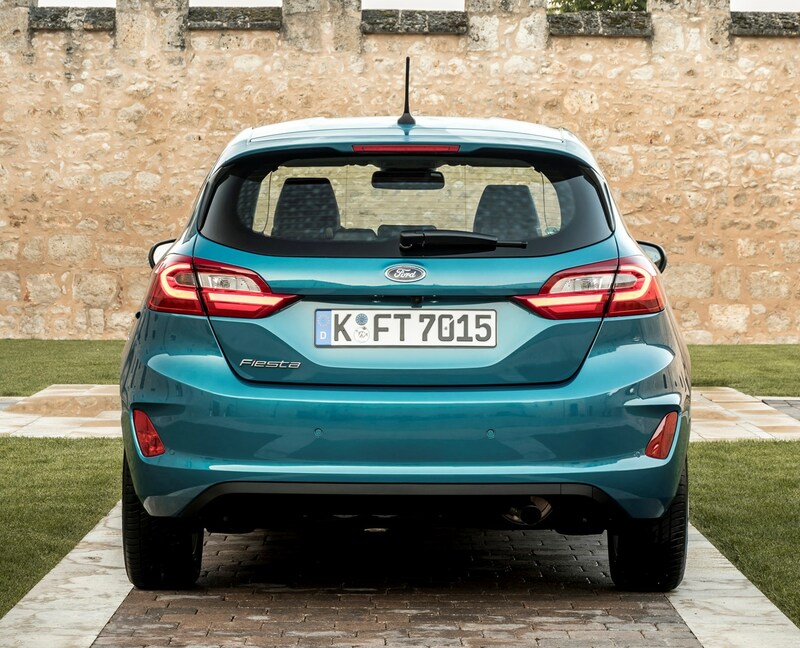 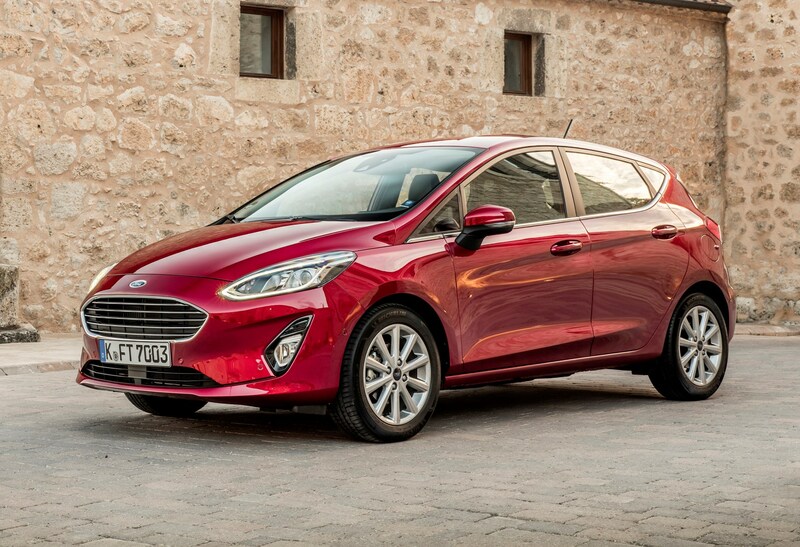 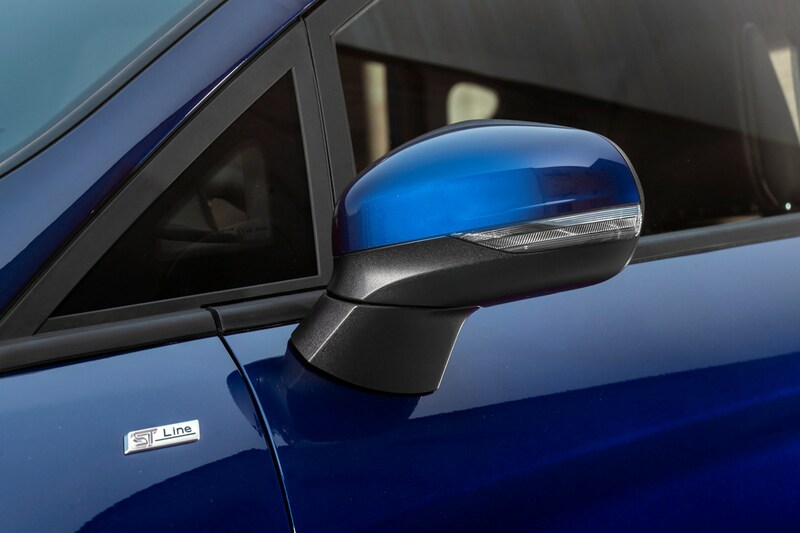 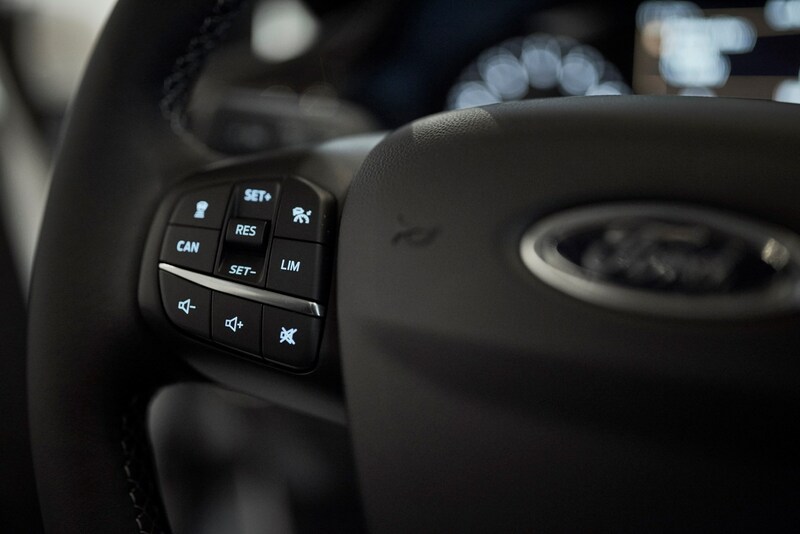 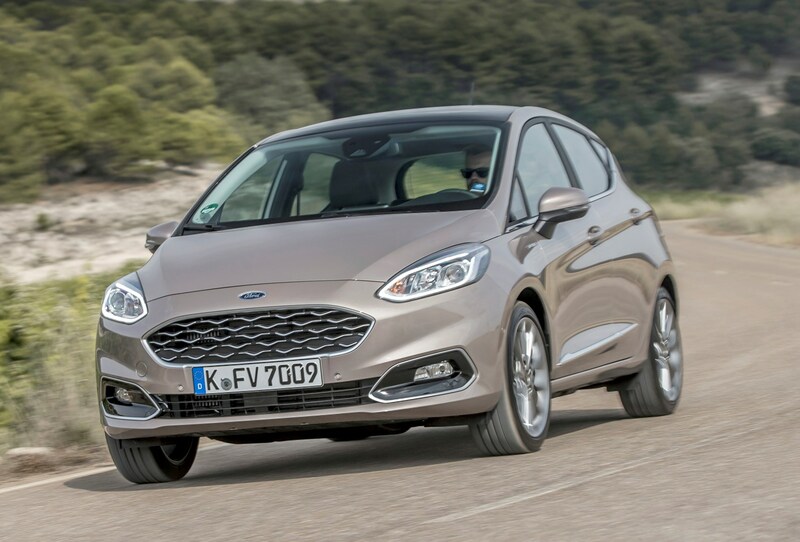 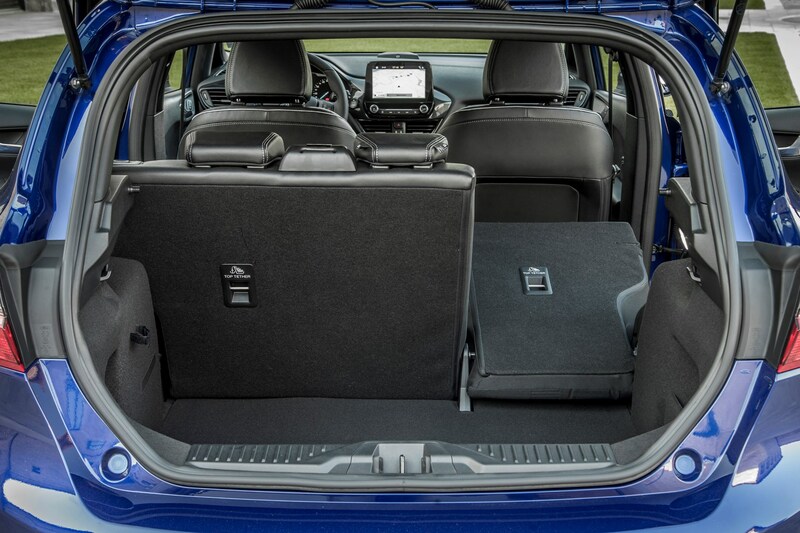 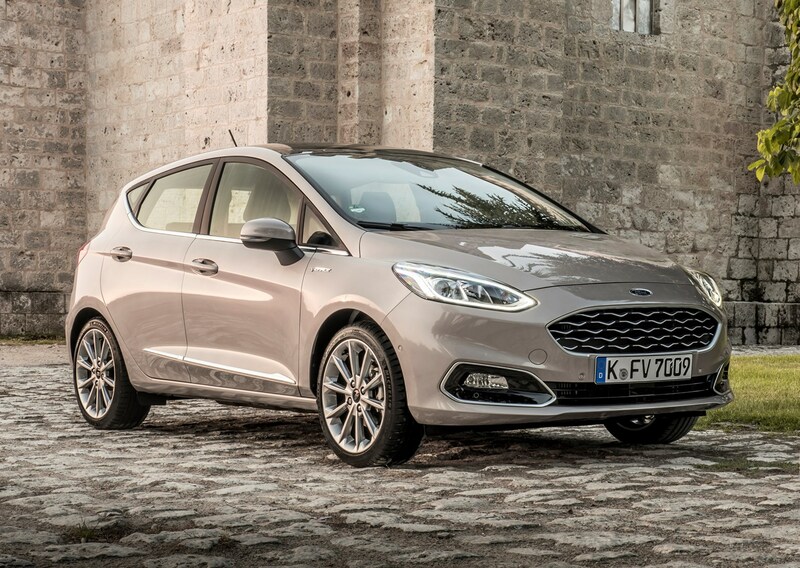 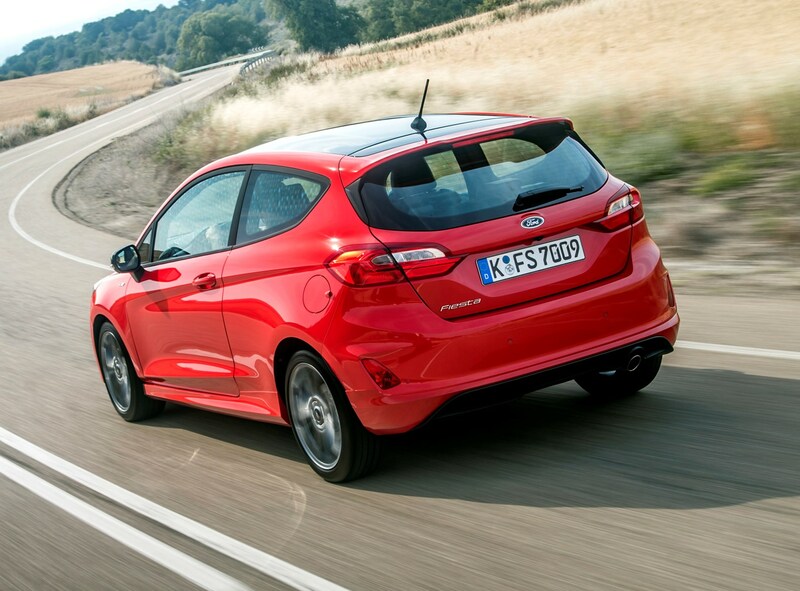 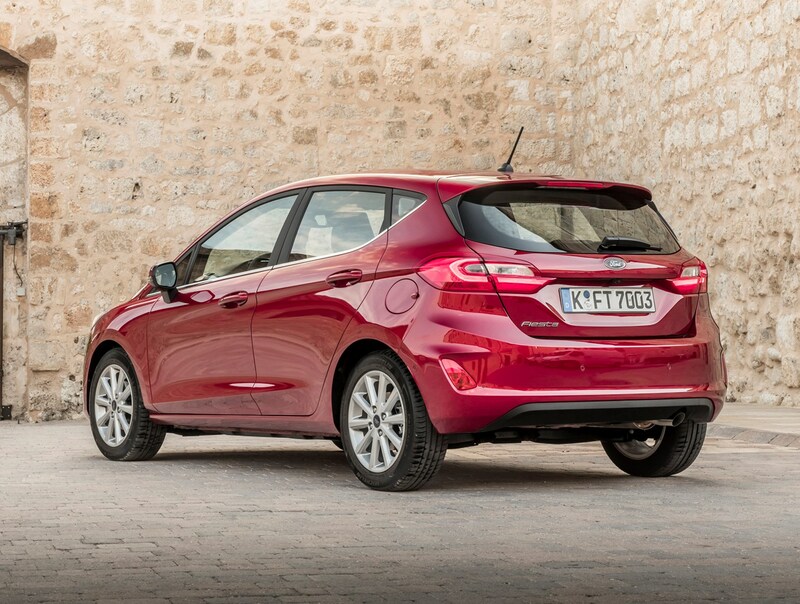 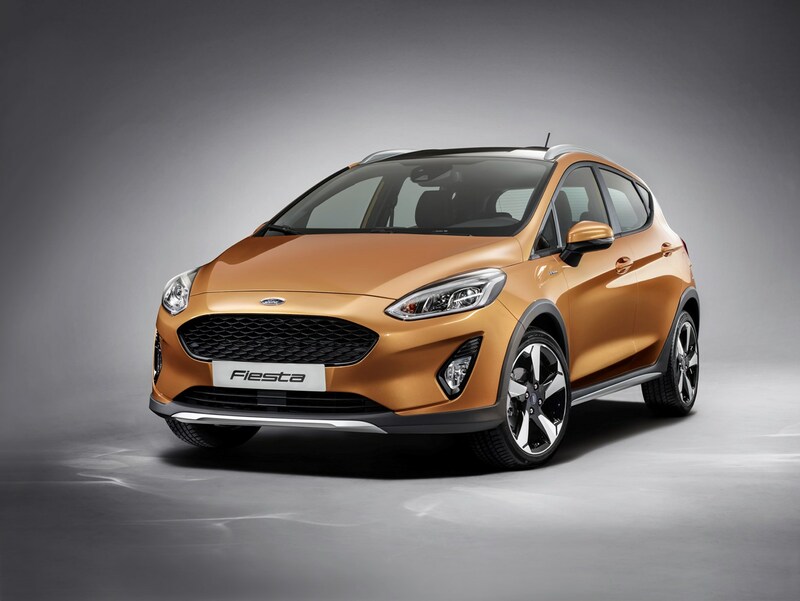 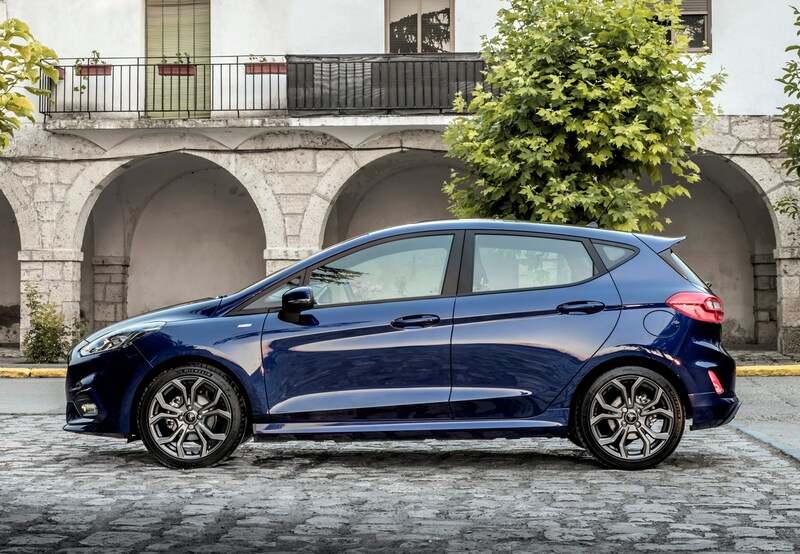 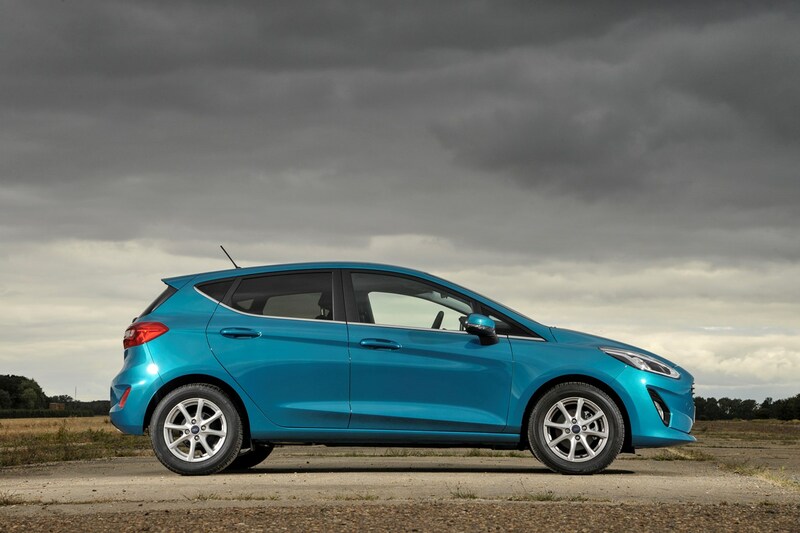 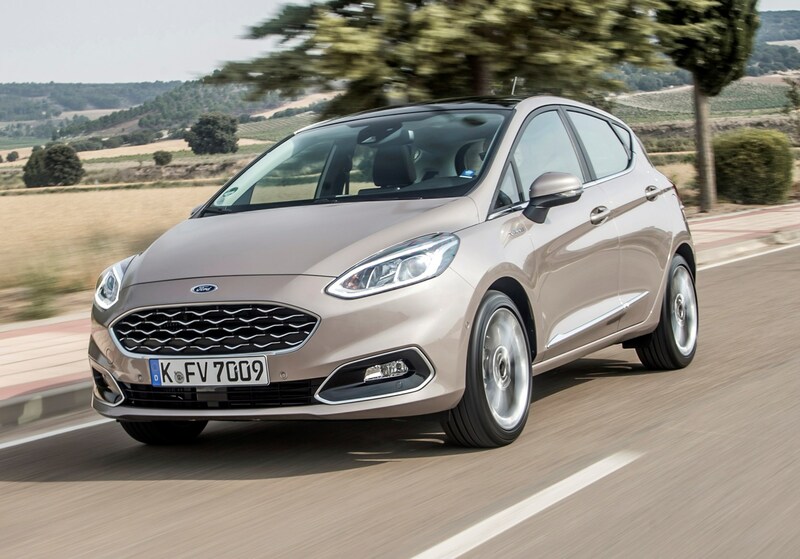 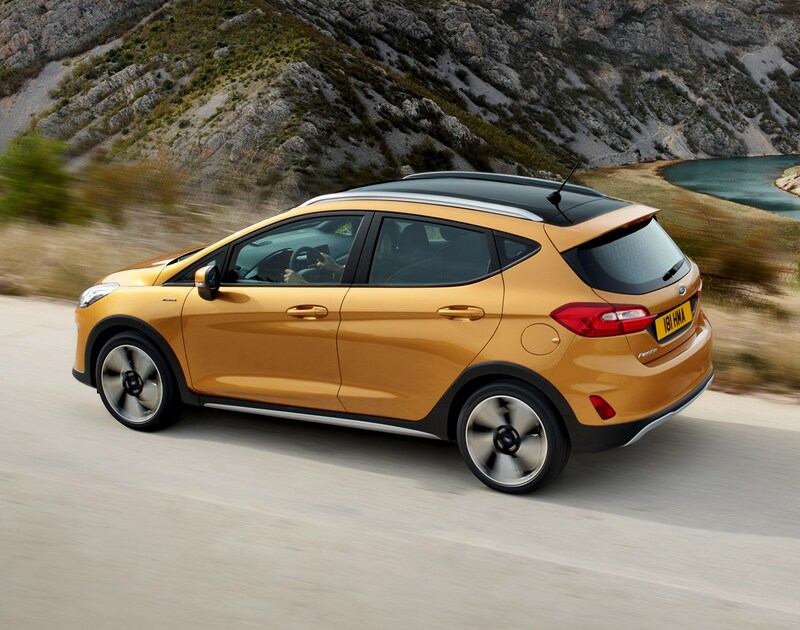 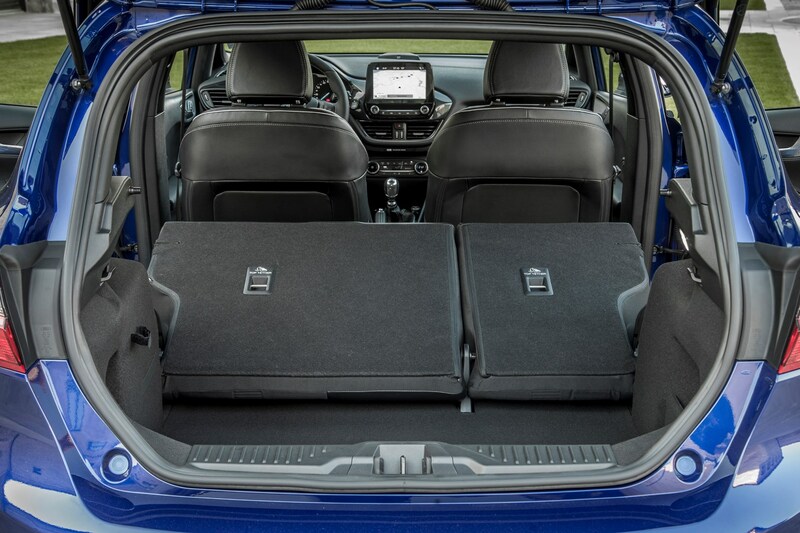 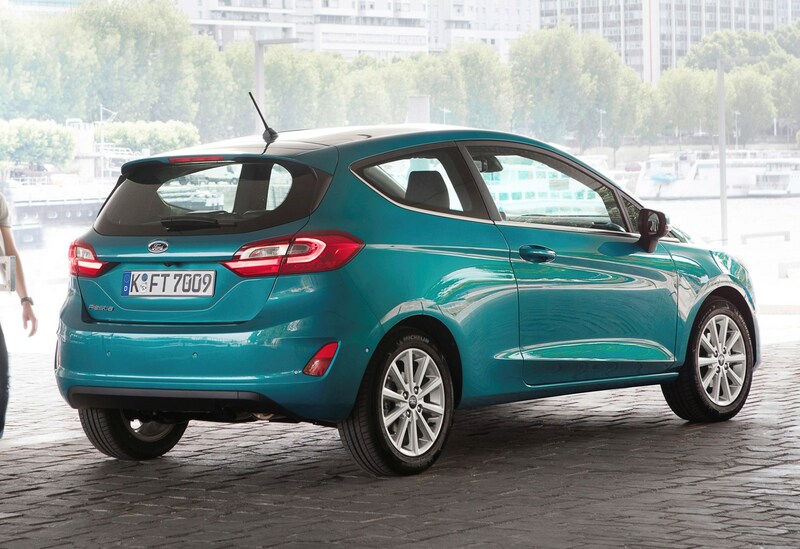 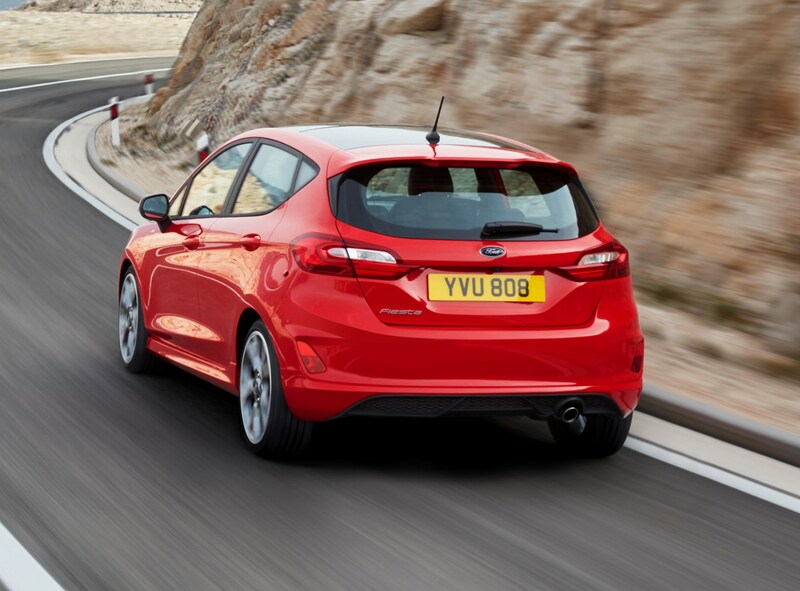 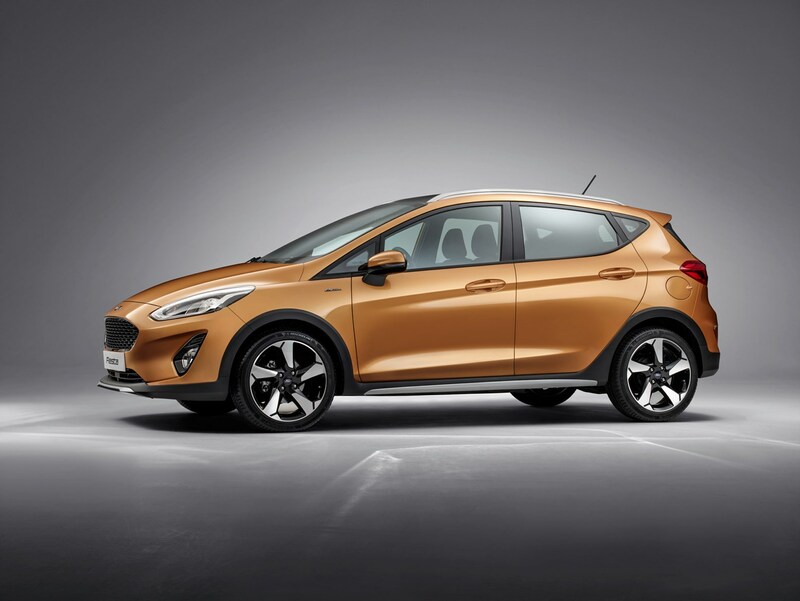 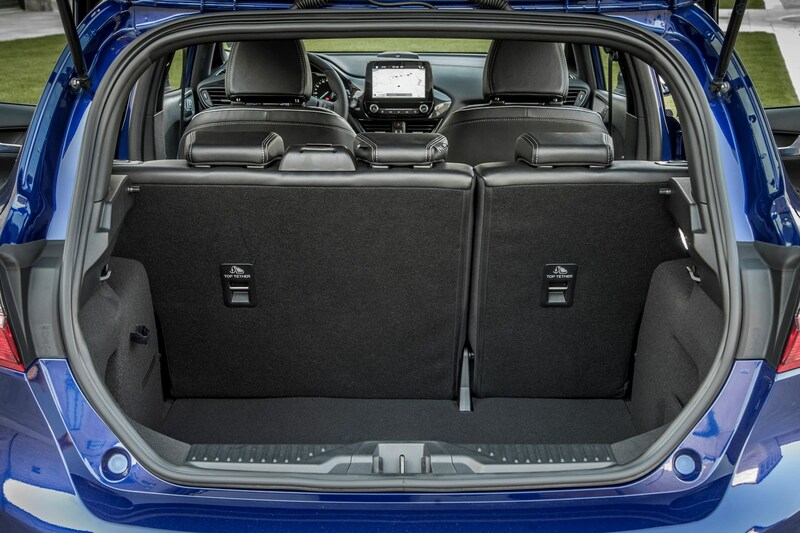 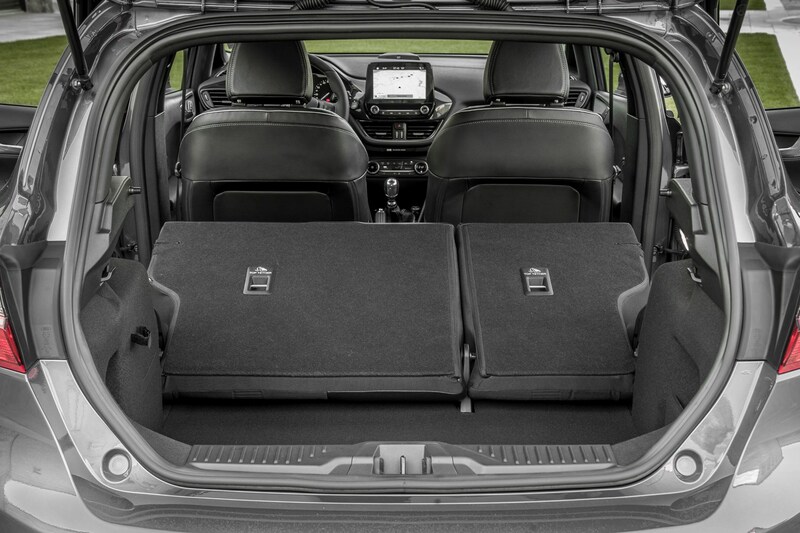 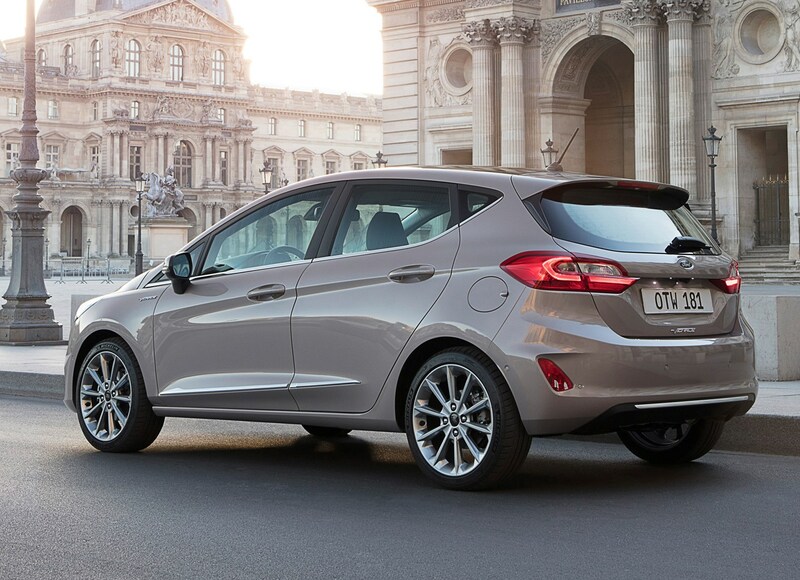 As if there wasn’t enough choice already, Ford also offers the Fiesta Active, a jacked-up version with slightly higher ride height, some external differences such as roof bars and some tougher interior trim for those with active, outdoorsy lifestyles. 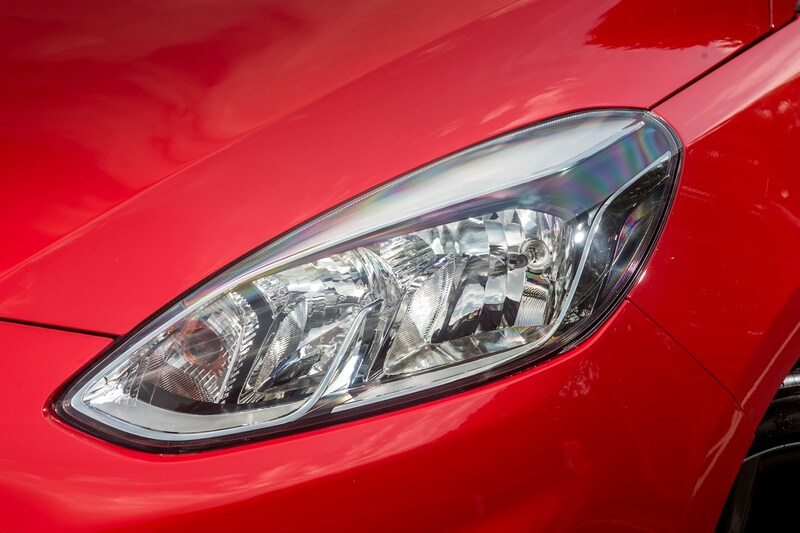 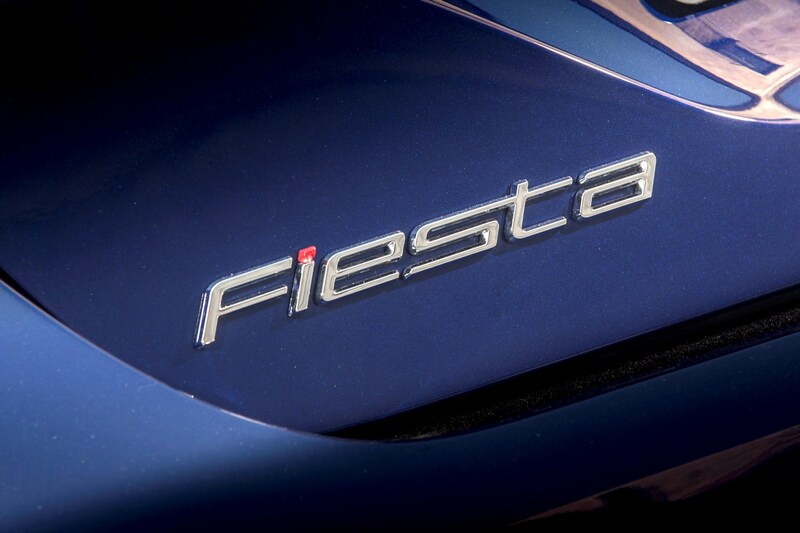 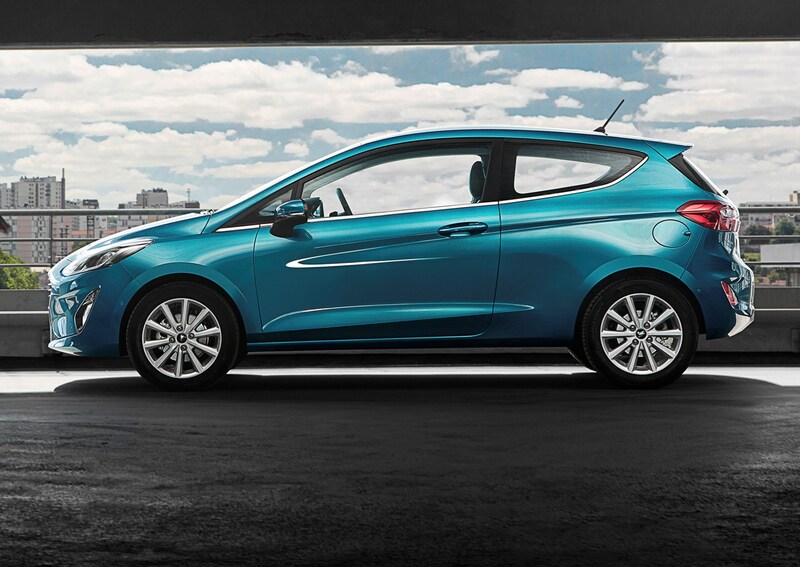 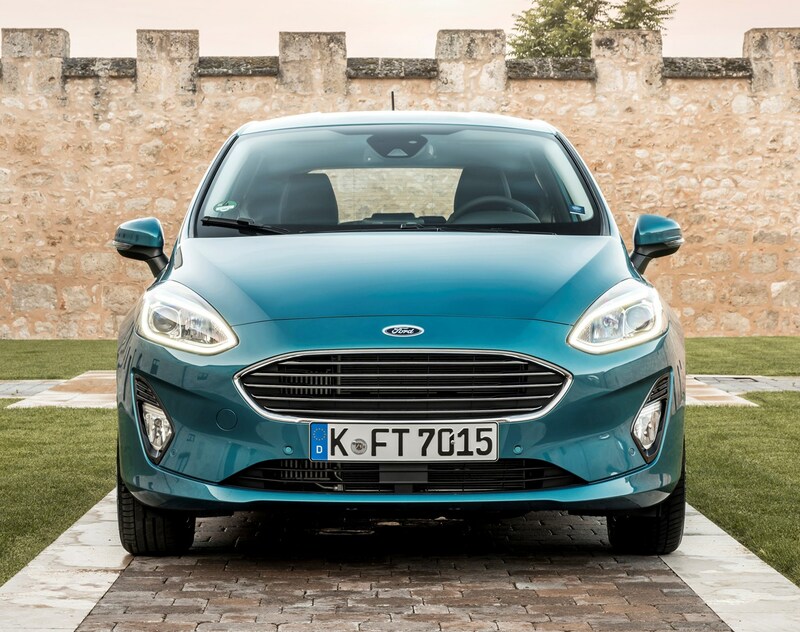 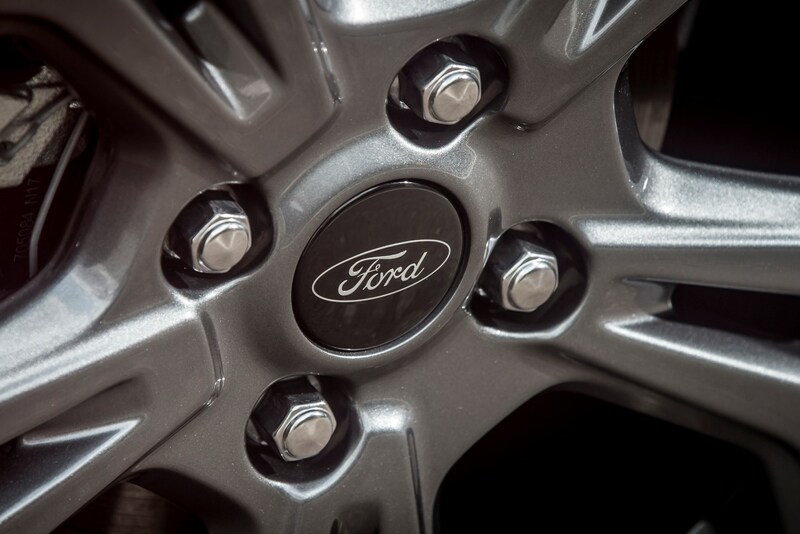 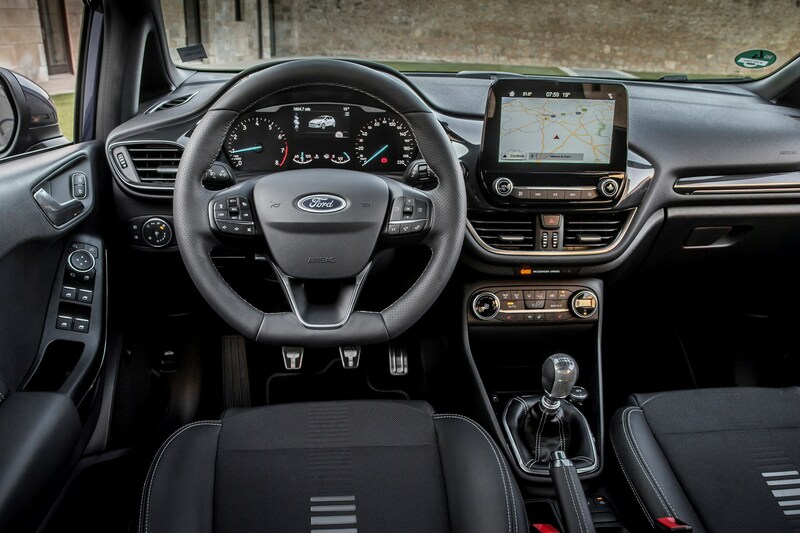 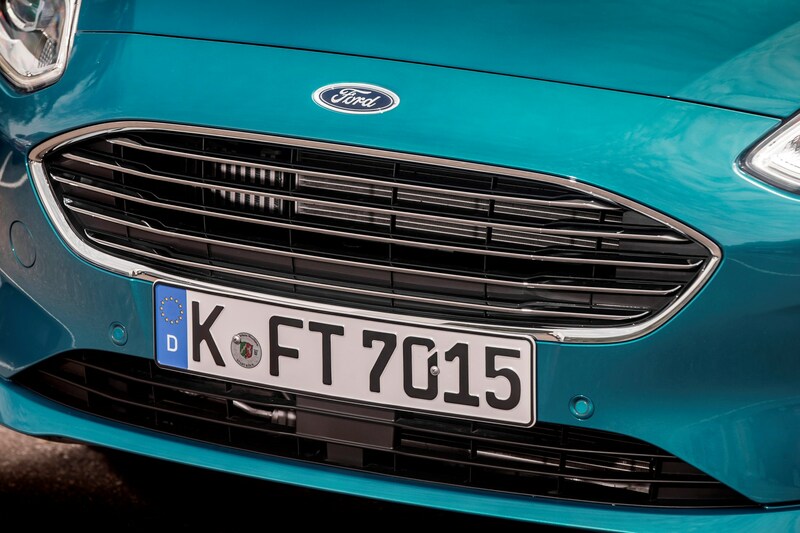 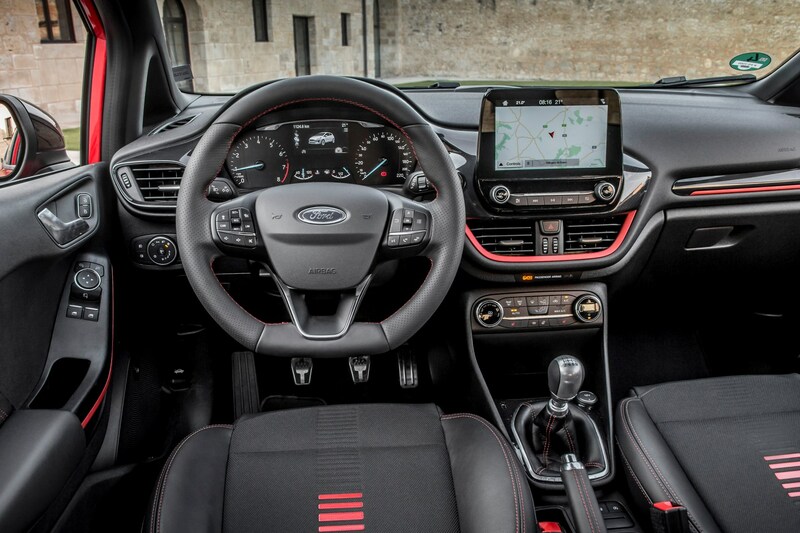 What’s the Ford Fiesta like to drive? 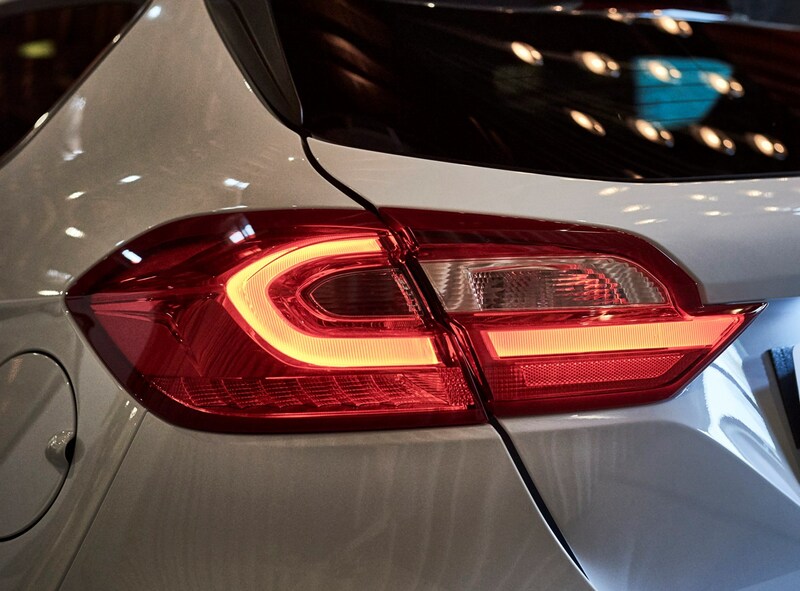 Very good indeed. 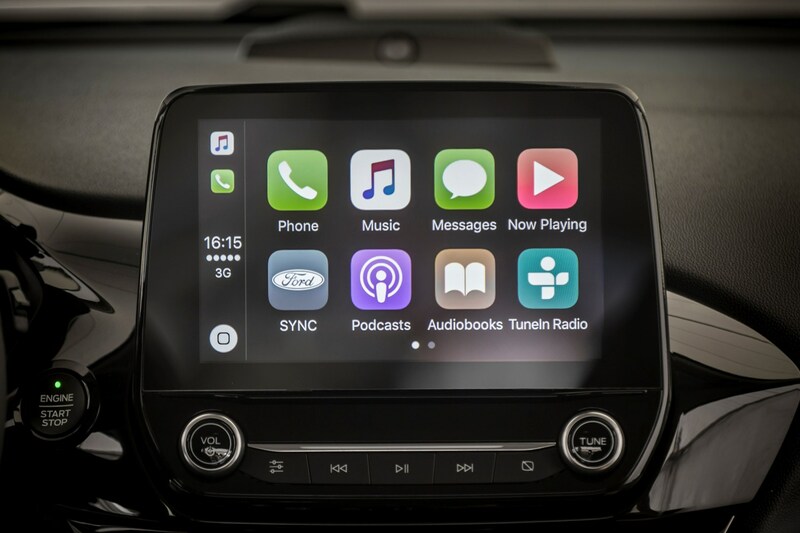 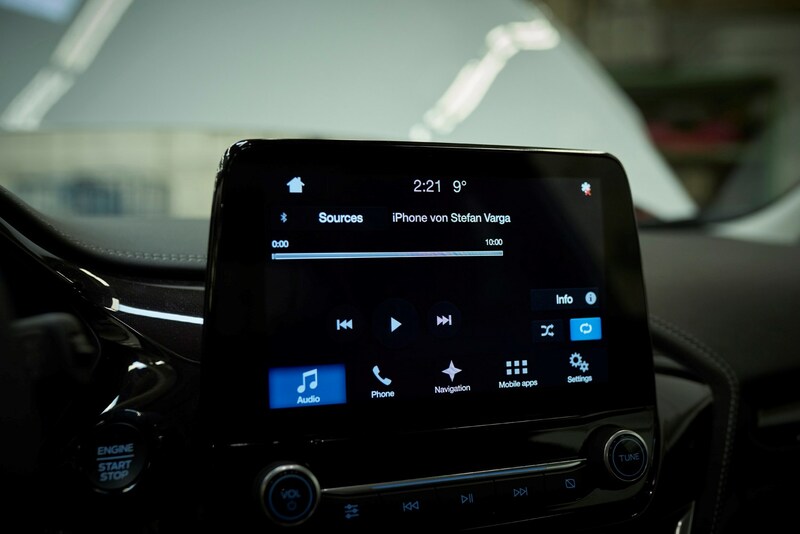 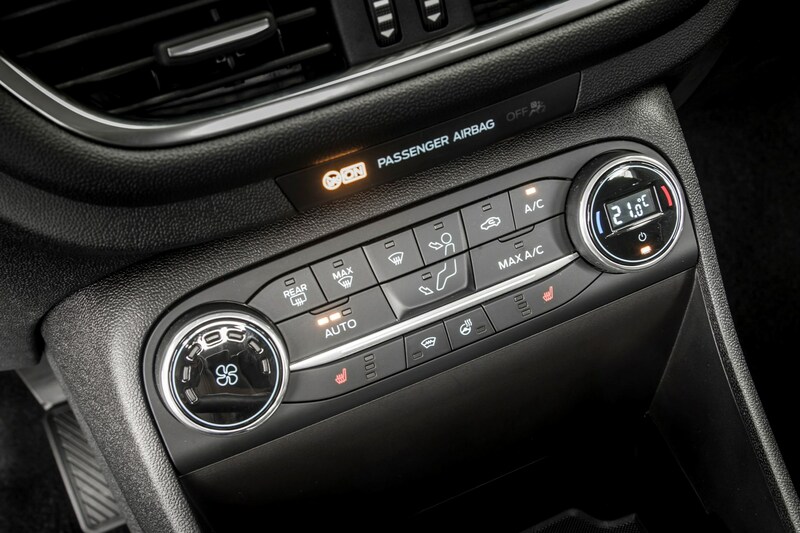 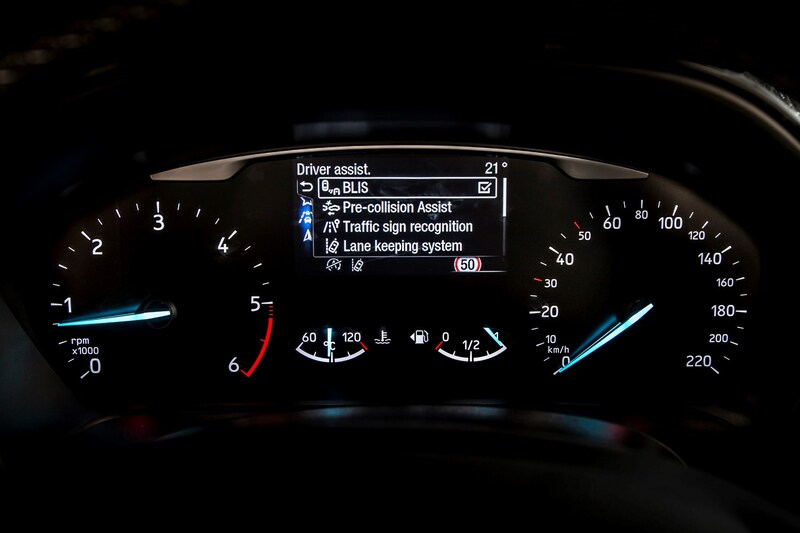 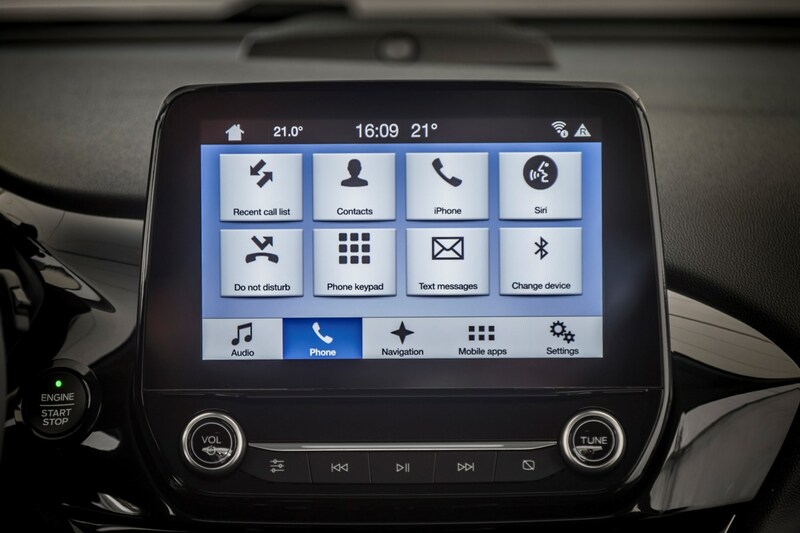 It’s as enjoyable to drive as the previous version but now comes equipped with some of the latest tech and driver assistance features – if you pay for them. 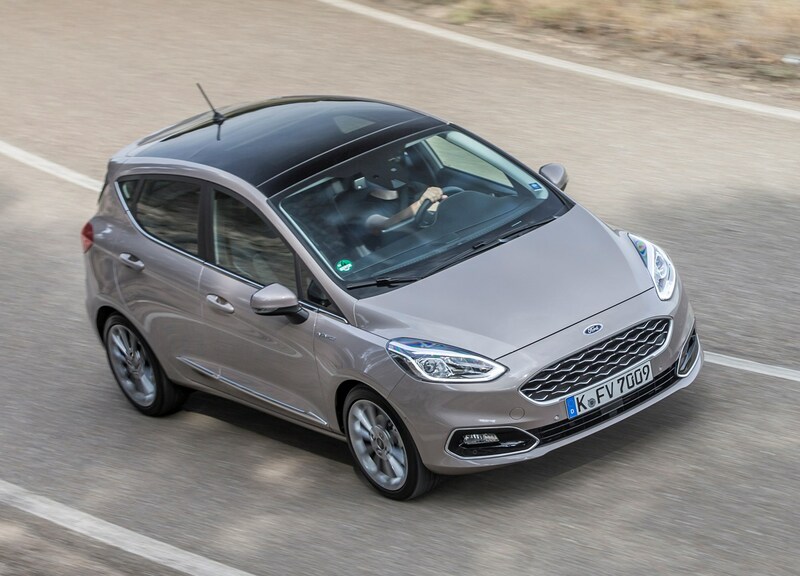 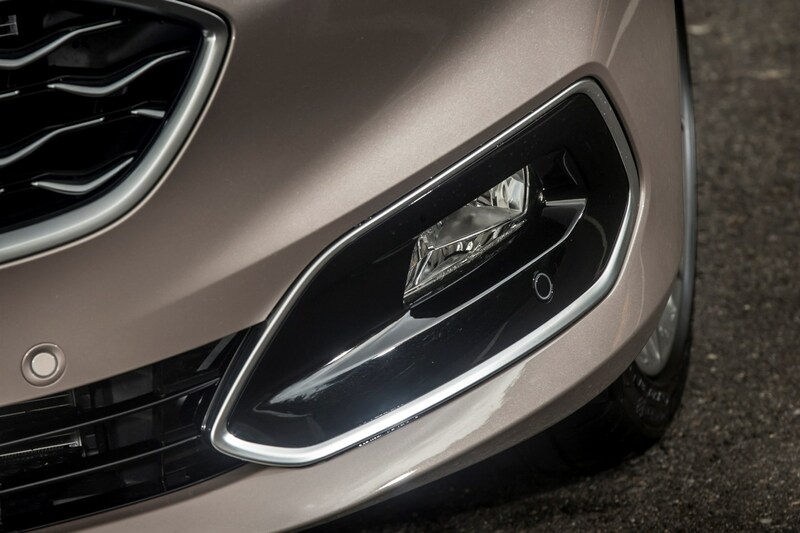 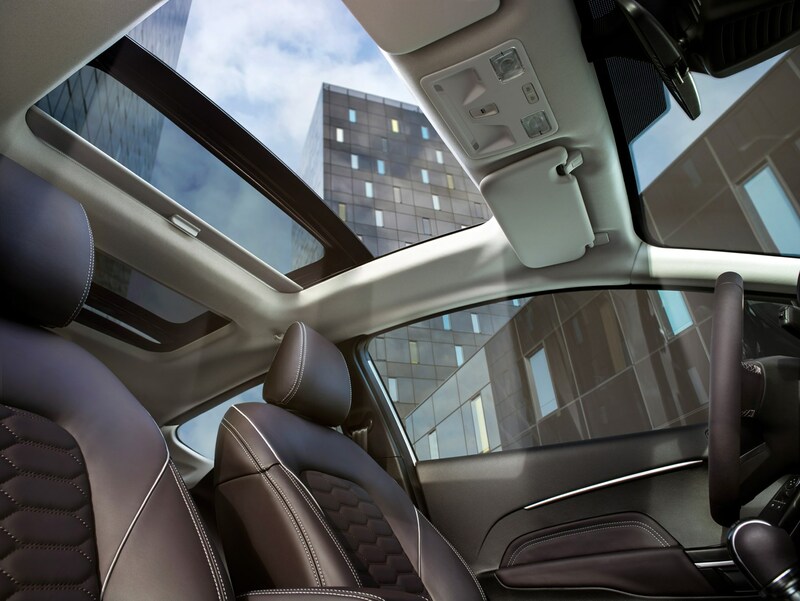 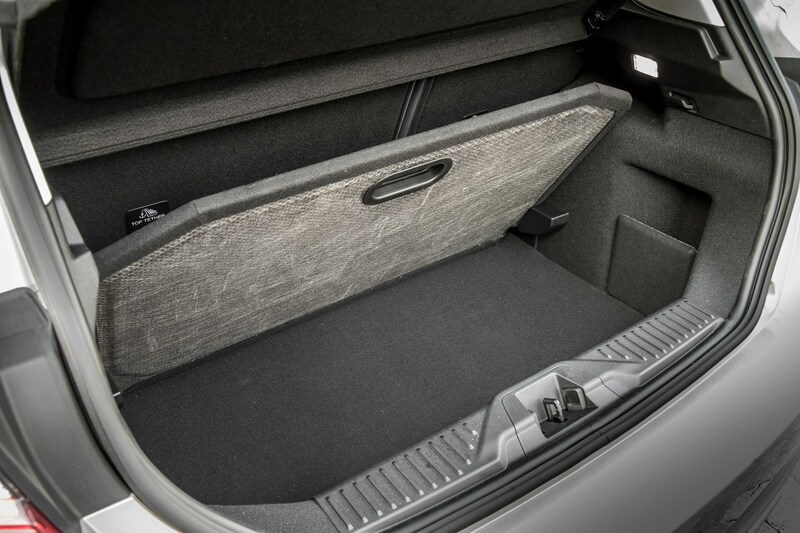 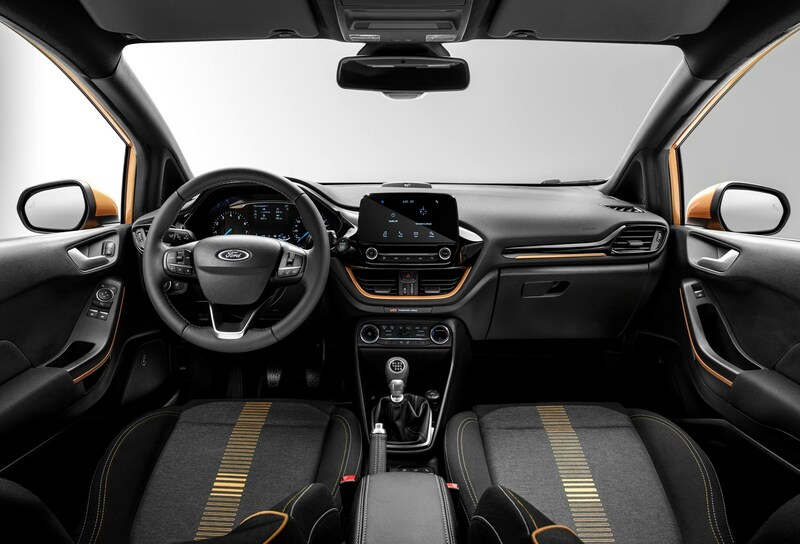 Sure, there are some cheaper-feeling materials in the cabin, and we’d give the glass sunroof (standard on Vignale, optional otherwise) a wide berth for its cabin headroom and wind noise penalties, but it remains among the class leaders for its drive and cabin. 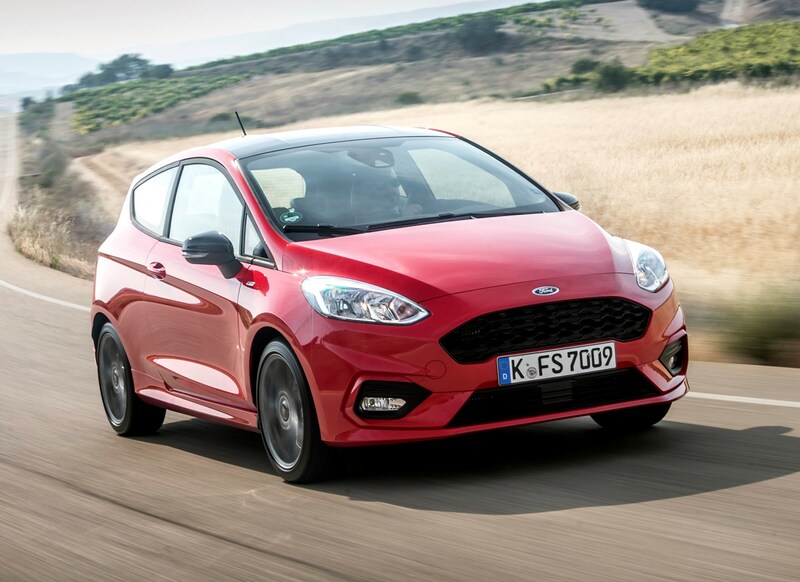 The Ford Fiesta ST is the fastest version in the range and builds on a reputation largely created by the excellent previous generation car. 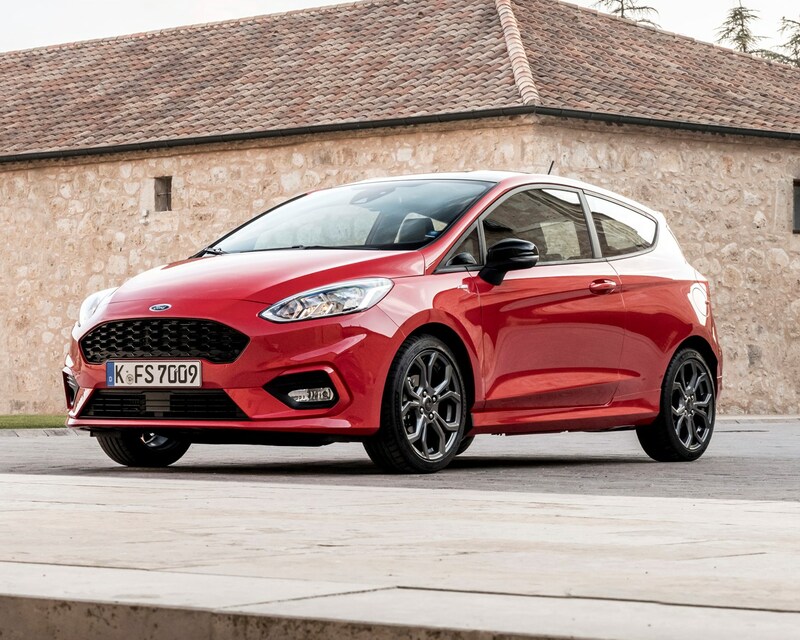 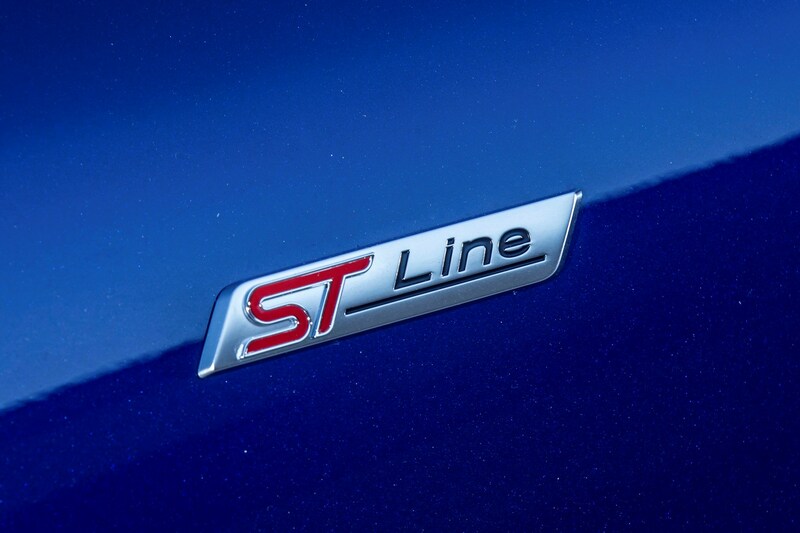 For 2018, the Fiesta ST debuts a 1.5-litre three-cylinder engine producing 200hp and 290Nm of torque, meaning 0-62mph in 6.5 seconds and a top speed of 144mph. 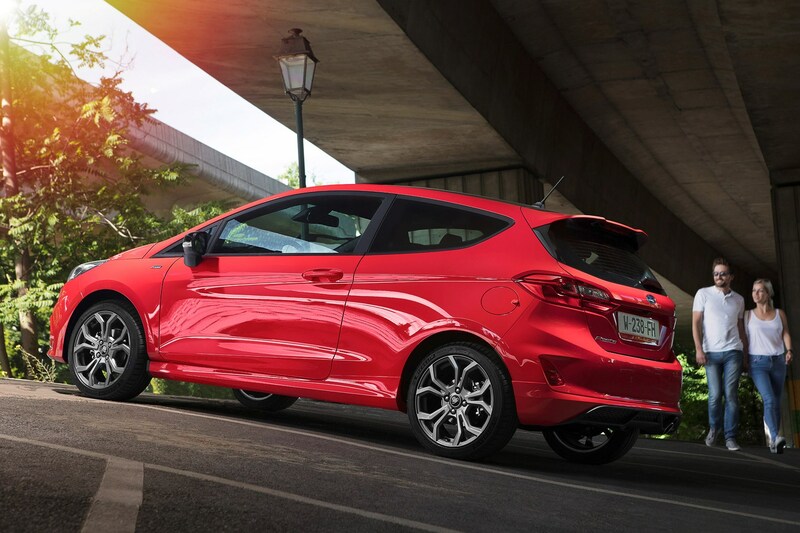 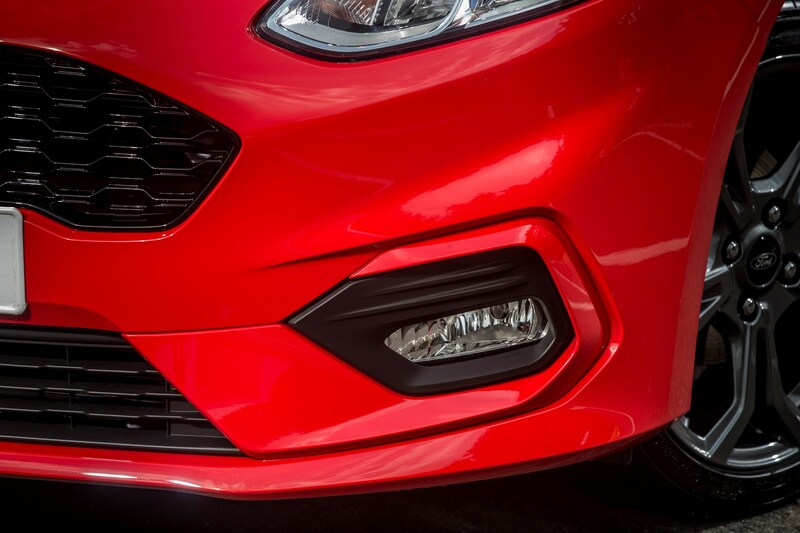 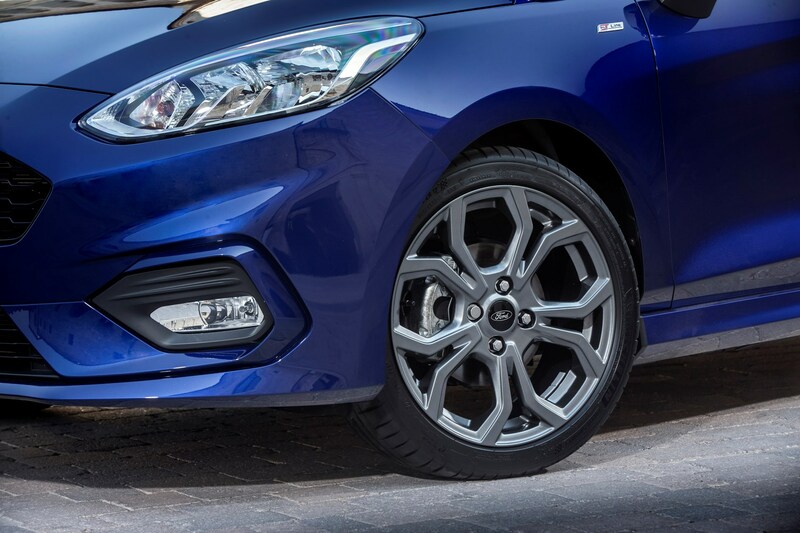 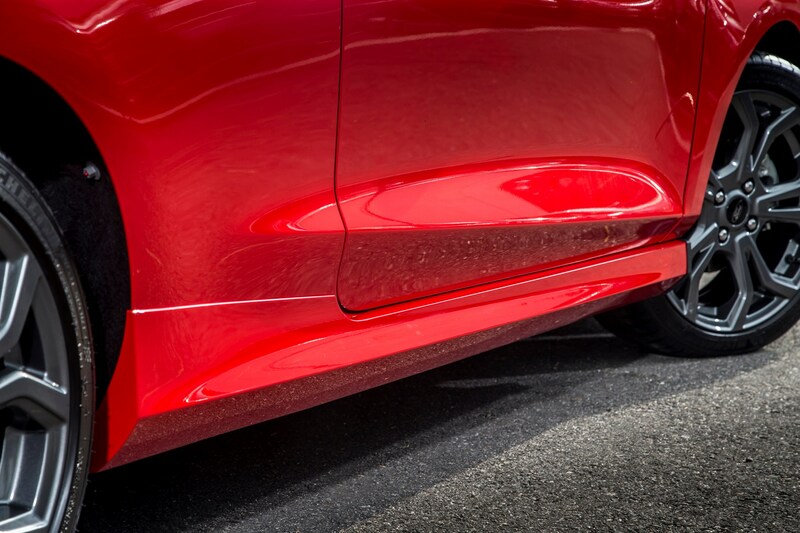 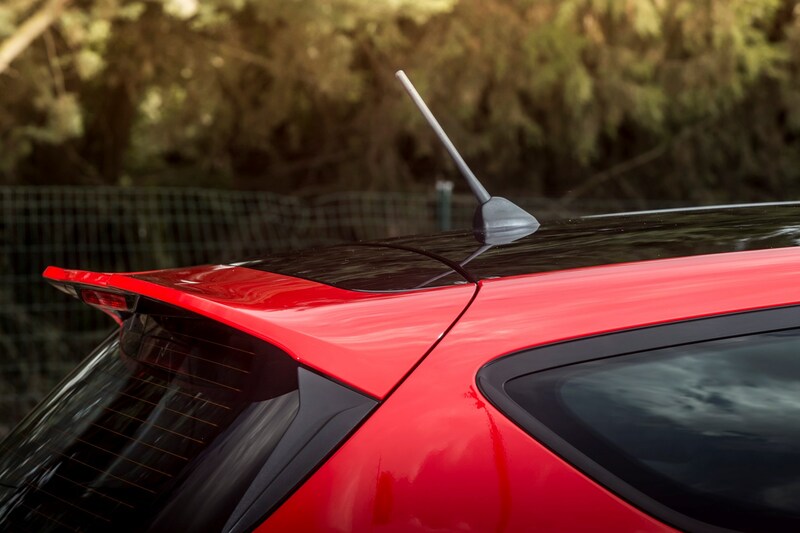 It’s not all about the straight-line speed, however, as the Fiesta ST also displays superb handling ability right up there with the best hot hatches on the market. 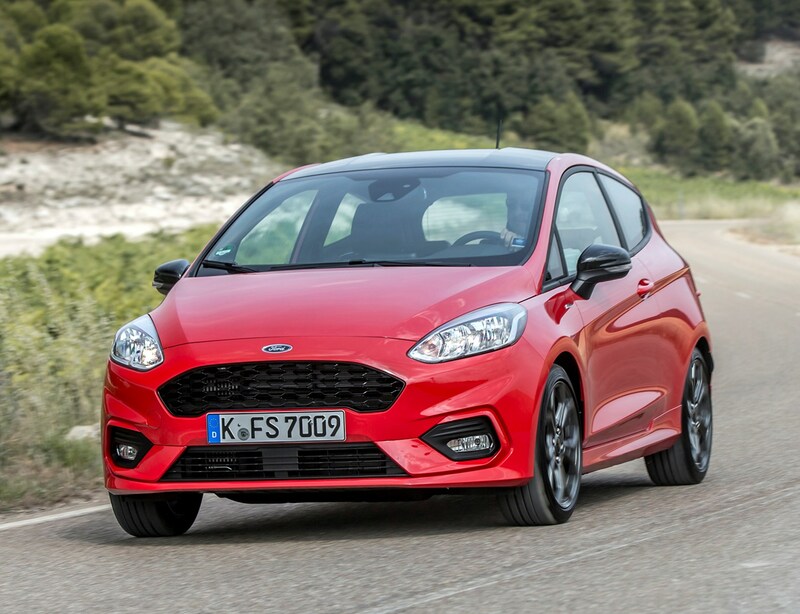 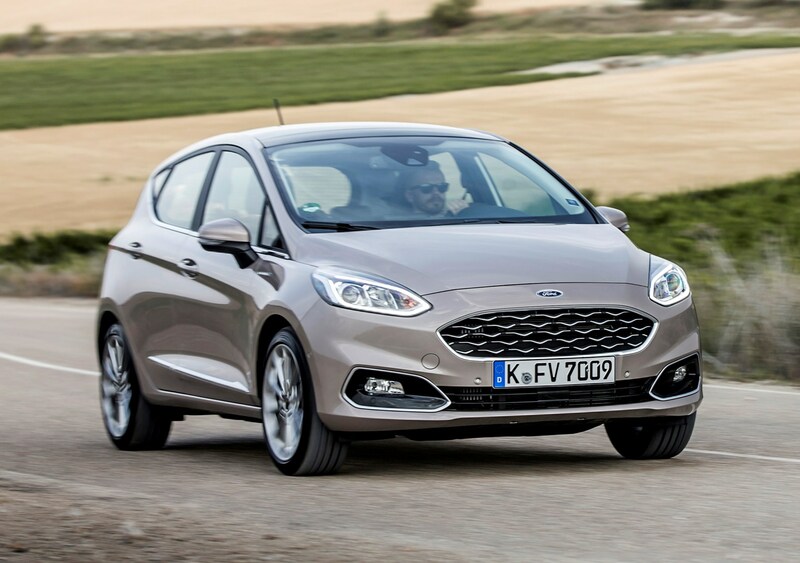 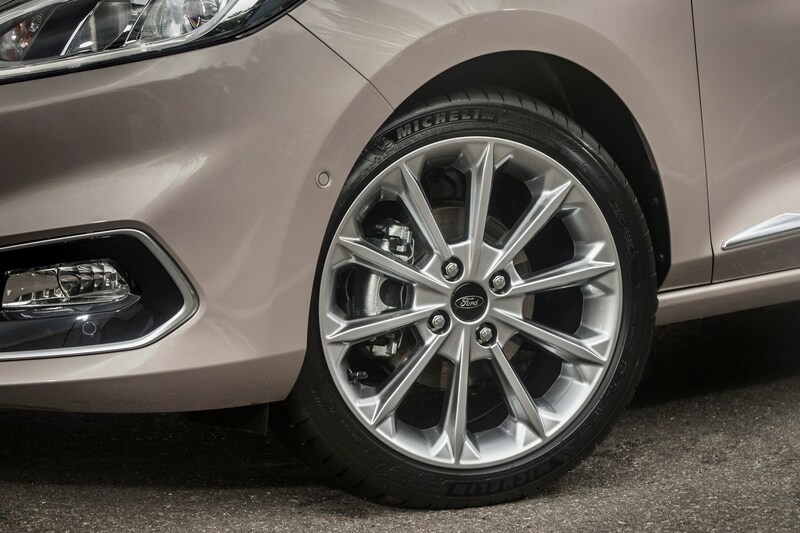 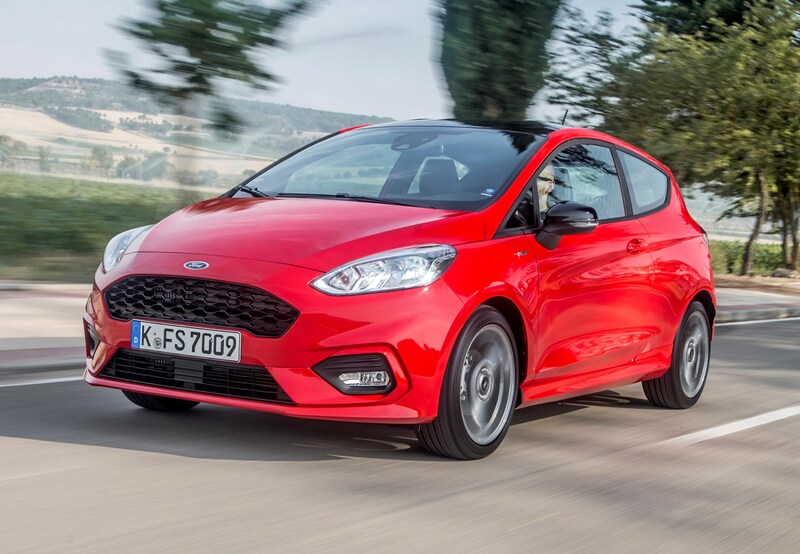 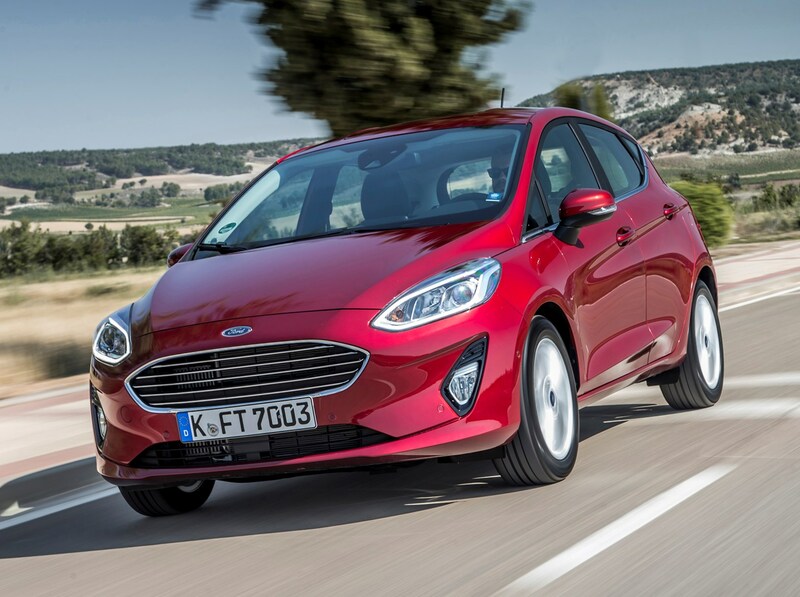 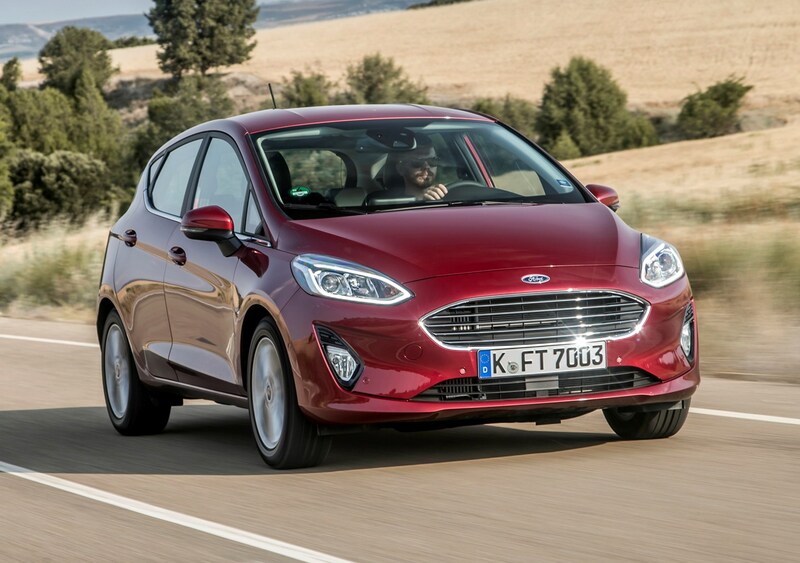 Sharp steering, high grip levels and excellent overall feedback means the hot Fiesta is staggeringly rapid over a twisty country road, while still retaining much of the usability that makes the regular car so popular. 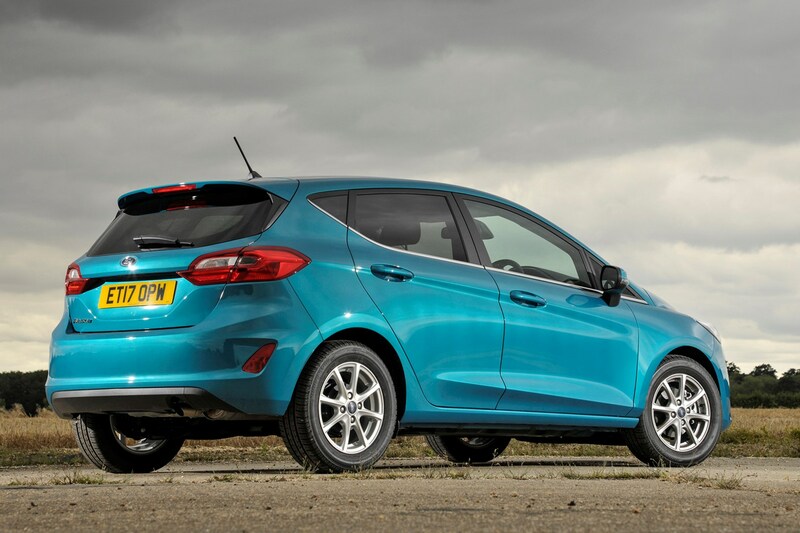 At the other end of the spectrum and widening the Fiesta’s appeal further is the Active – a higher-riding version that aims to snag sales from the burgeoning SUV sector. 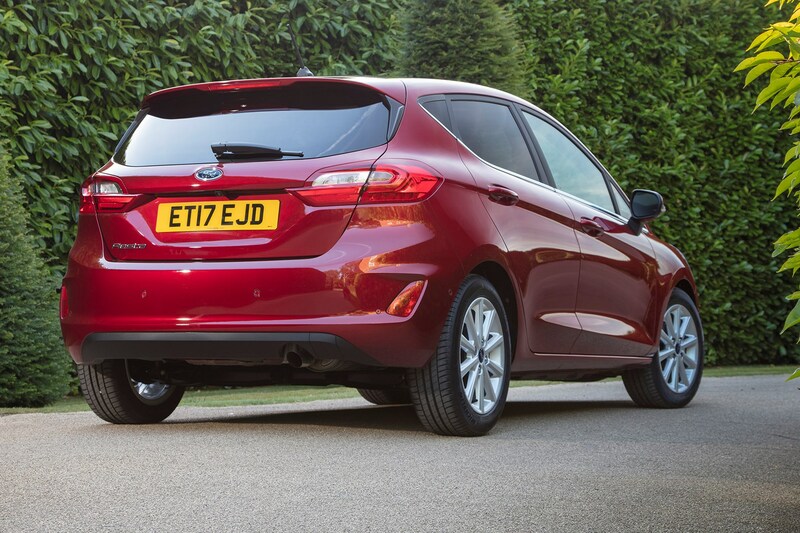 It gets a separate review on Parkers. 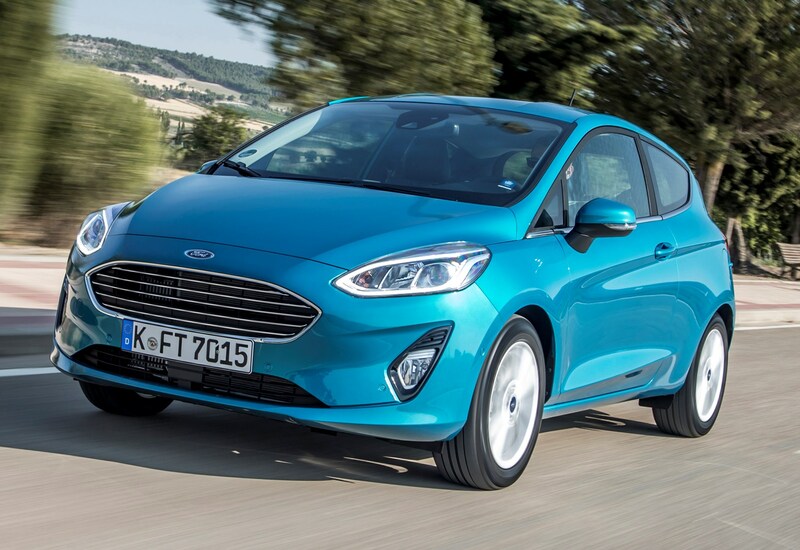 Will the Ford Fiesta be cheap to finance and run? 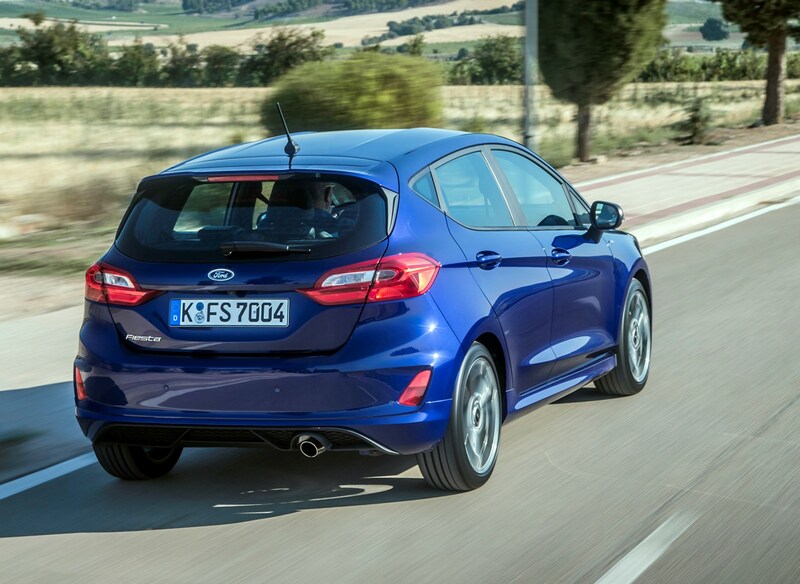 From launch Ford’s PCP finance deals were a bit off the pace, but have since improved dramatically. 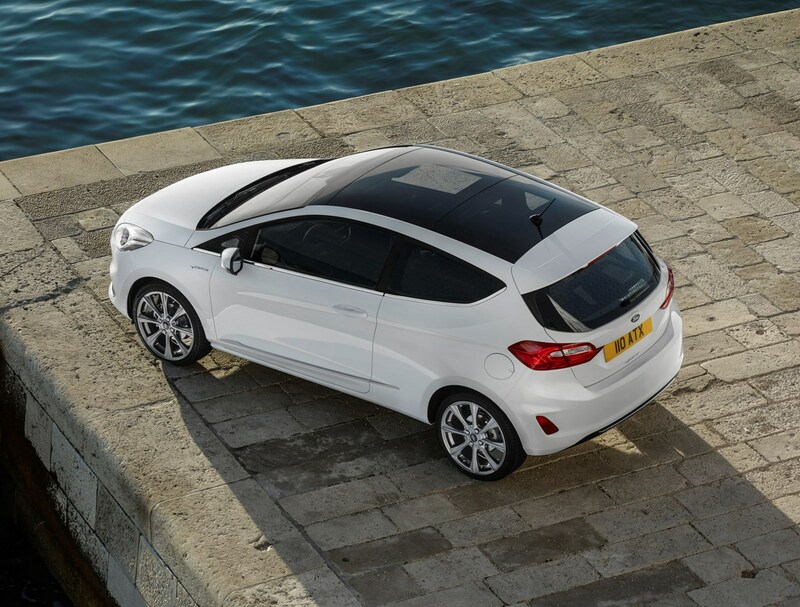 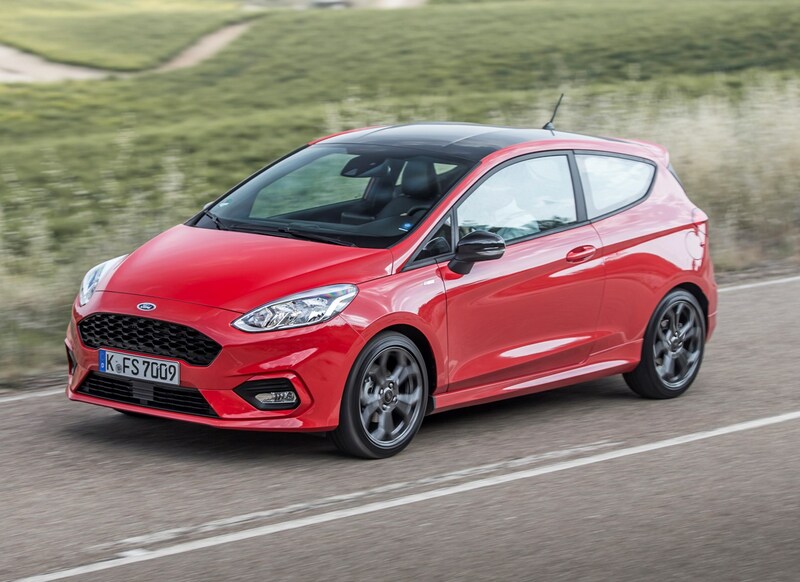 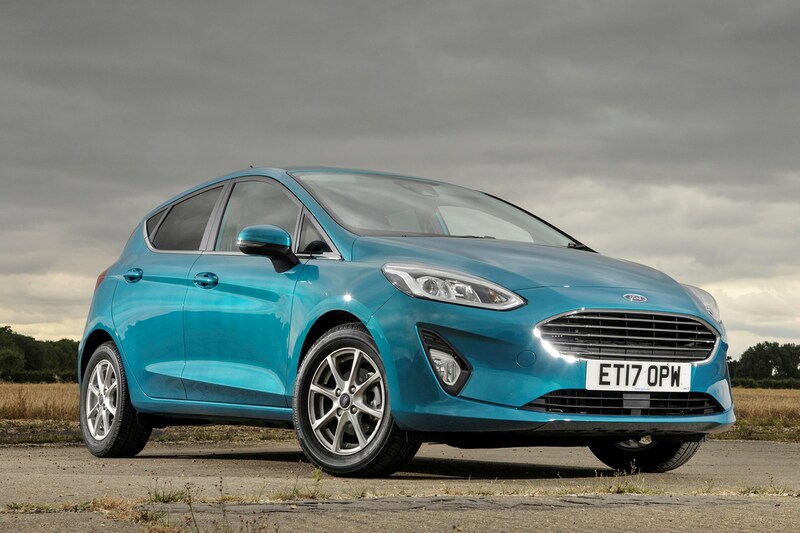 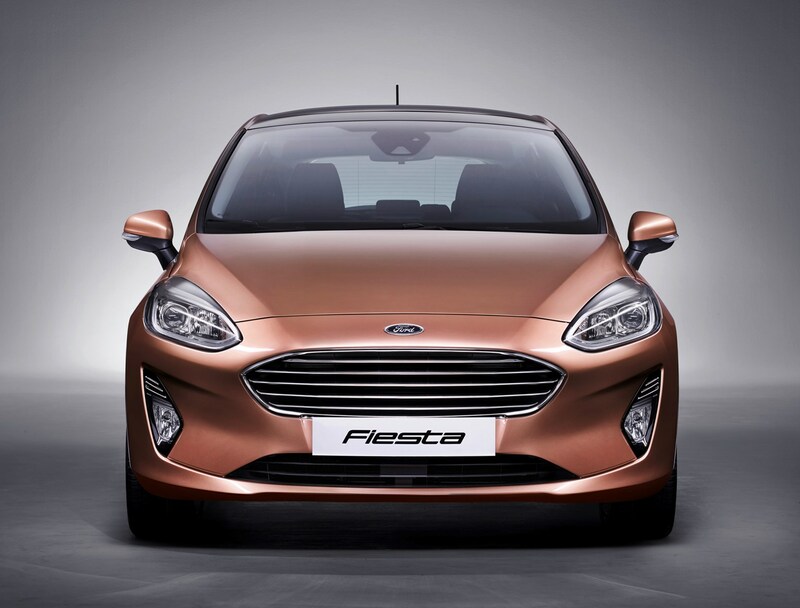 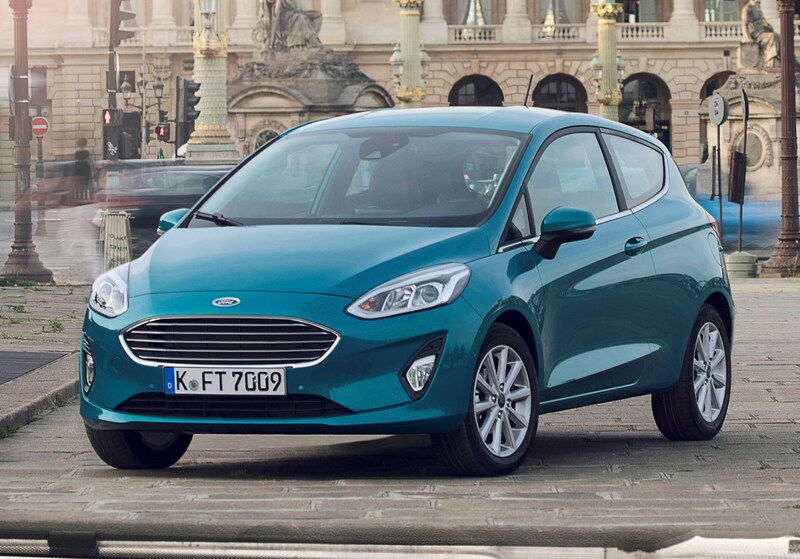 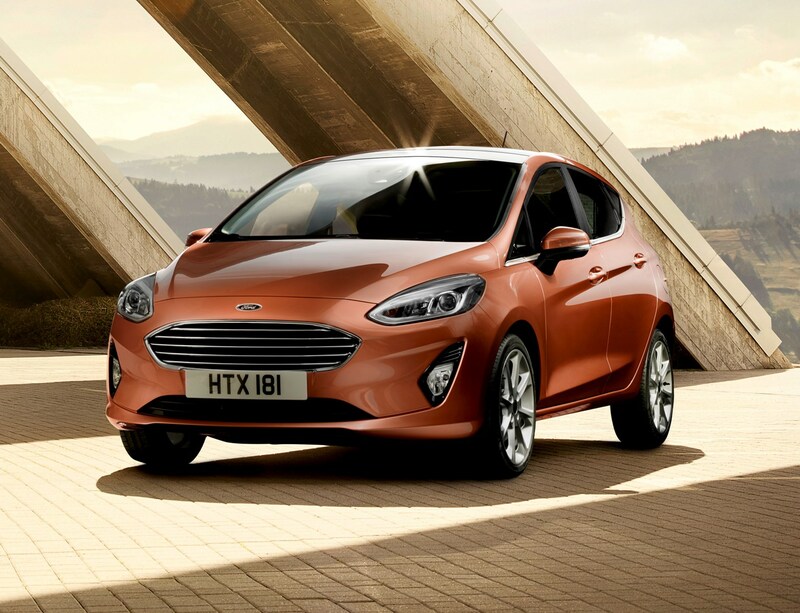 The Buy Online service on the website often includes large discounts that make the Fiesta much better value than pretty much any other supermini. 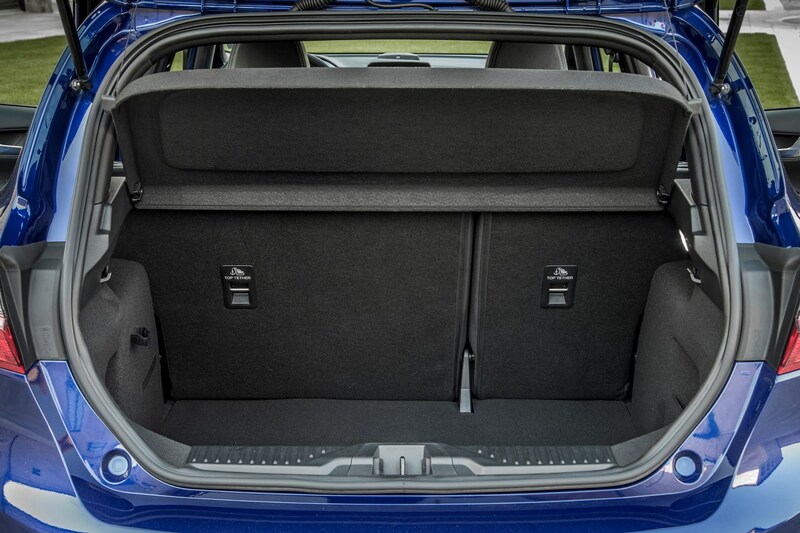 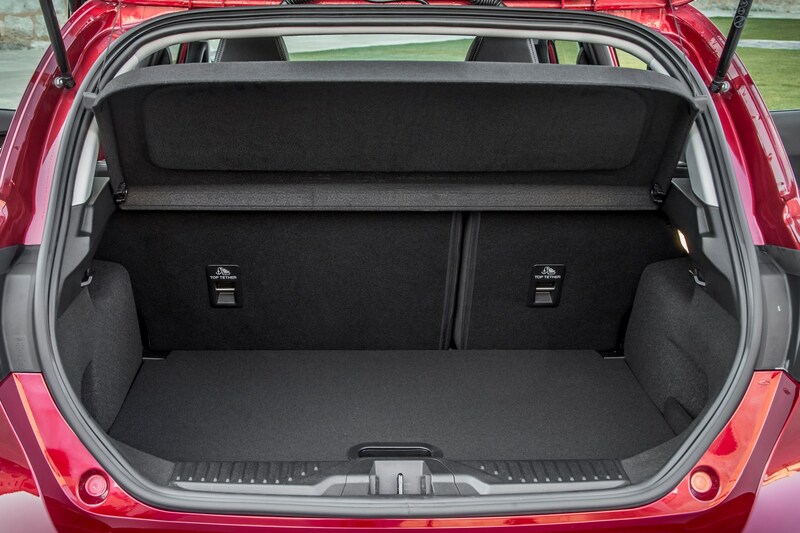 Entry level Skoda Fabias are better value, but the upper half of the Fiesta range is extremely competitive when financed. 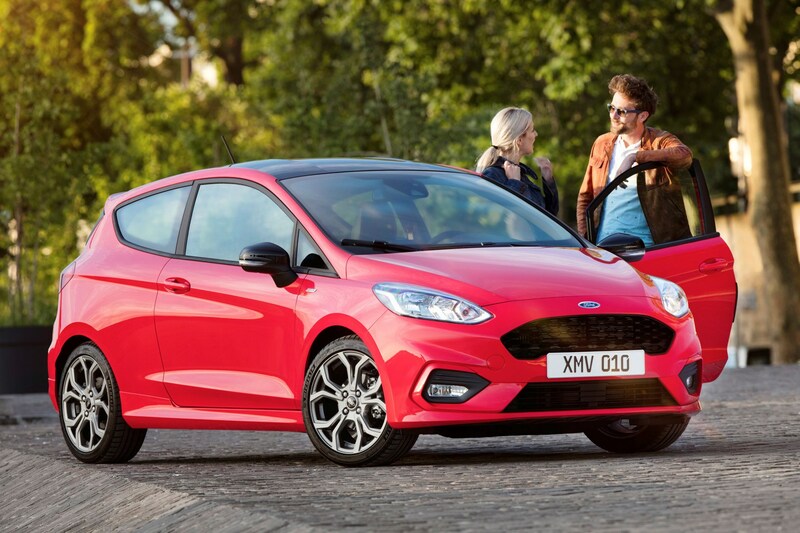 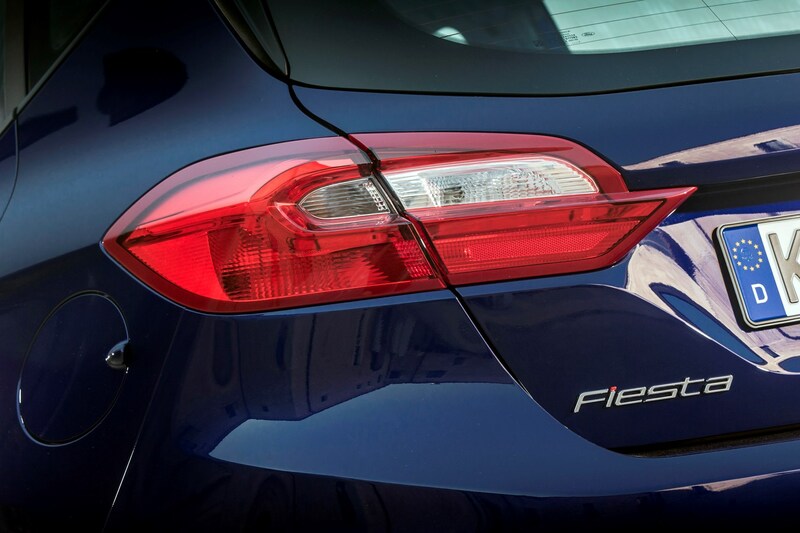 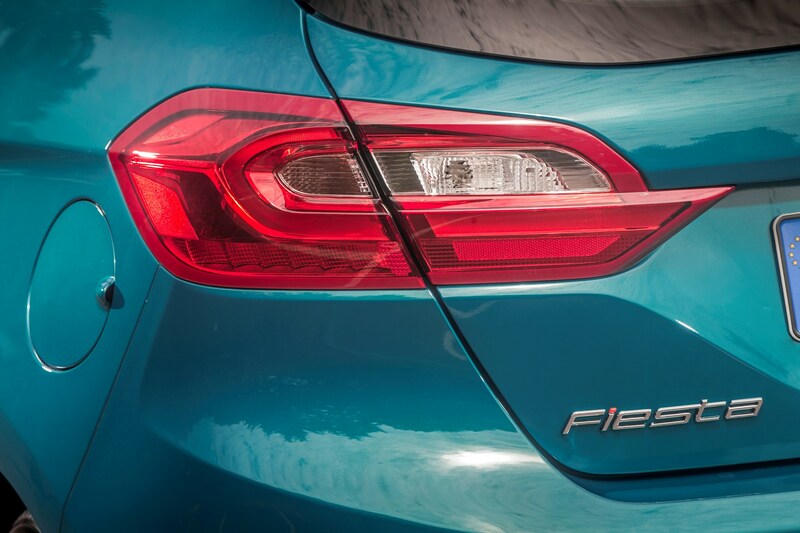 Interest-free credit has been available on the Fiesta, however, and if you can find one of these deals, there's no cost penalty for financing a Fiesta compared with paying cash. 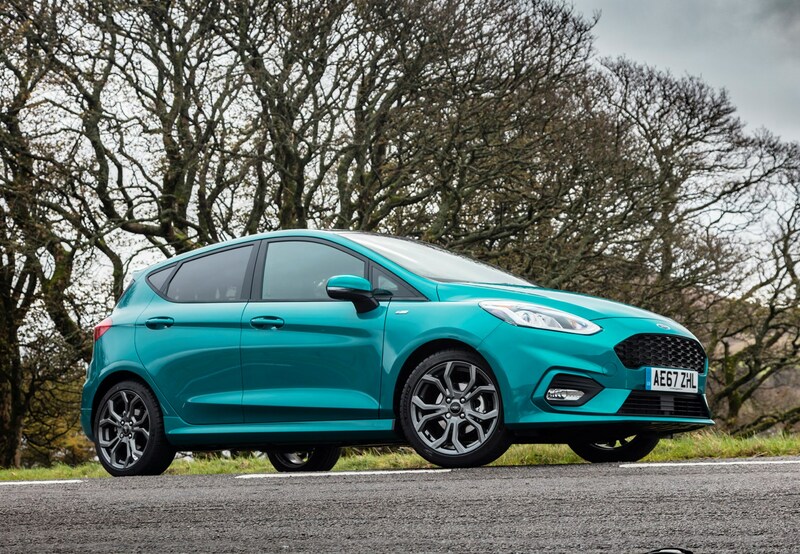 As this is an extremely competitive class, though, keep your eyes open for deposit contribution discounts in future, as it's possible that Ford will throw these in alongside 0% APR to boost sales after the initial fanfare has died down. 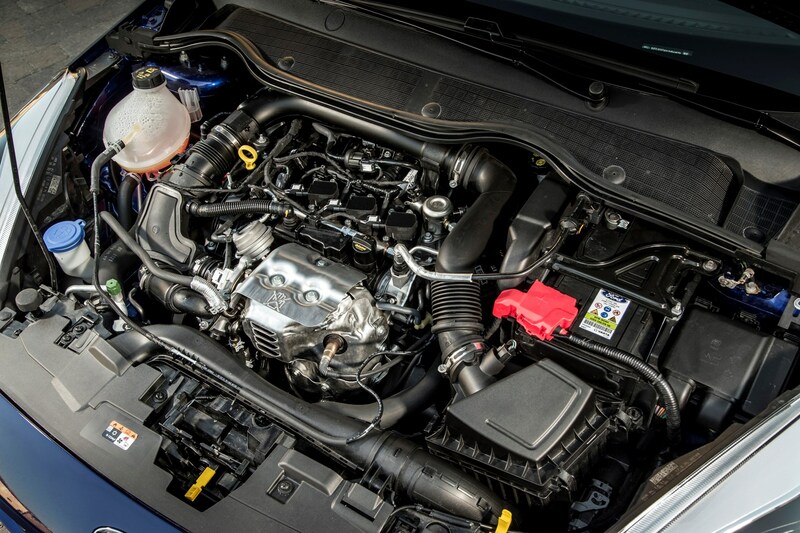 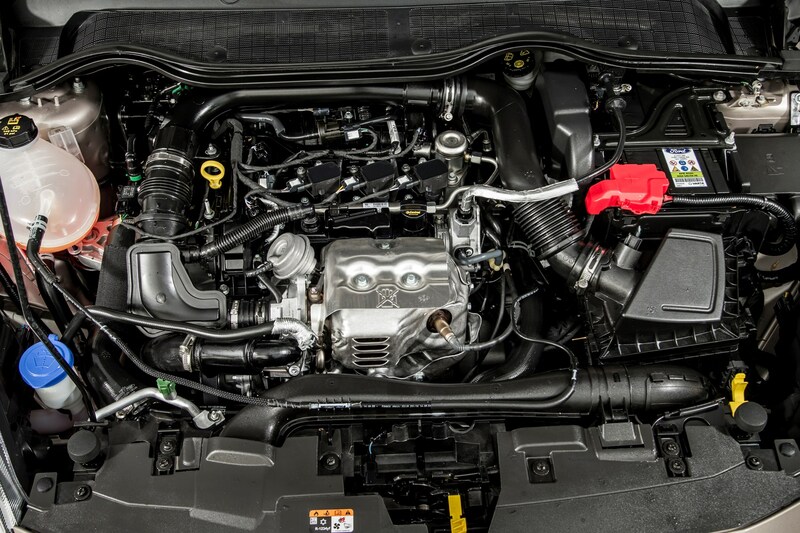 Insurance groups range from 2E up to 15E, so it’s at the cheaper end of the spectrum here, and fuel economy and tax bills are very low indeed thanks to a recent range of high-tech engines. 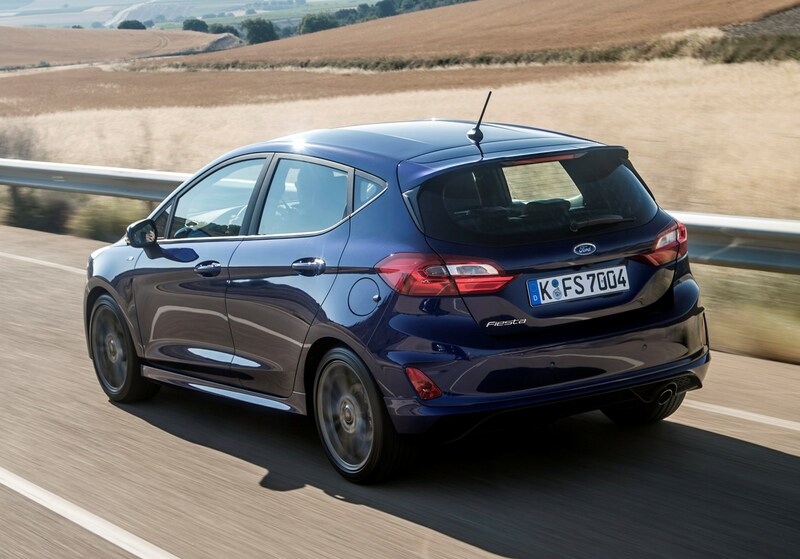 The eighth incarnation of the Fiesta is as good to drive as ever, and features even more safety, driver assistance and infotainment kit. 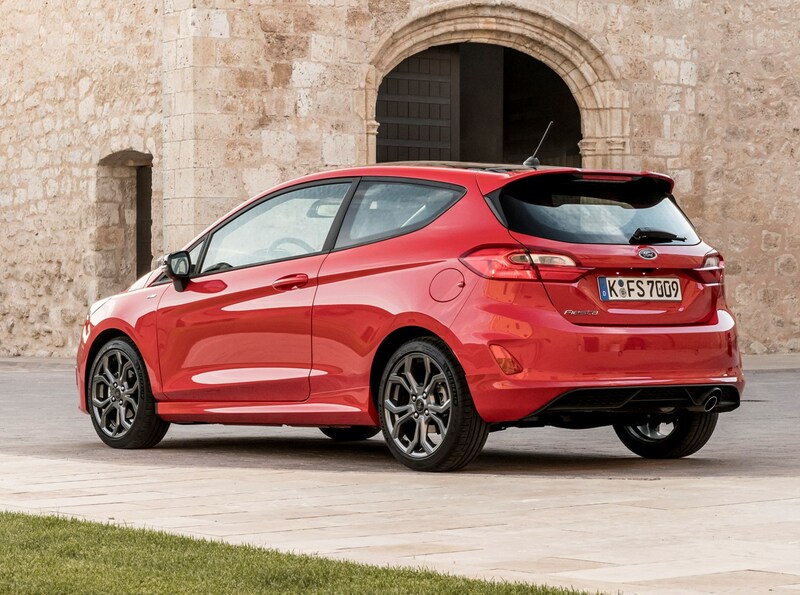 It does come at a price relative to the competition, both for outright buyers and those looking to finance, though. 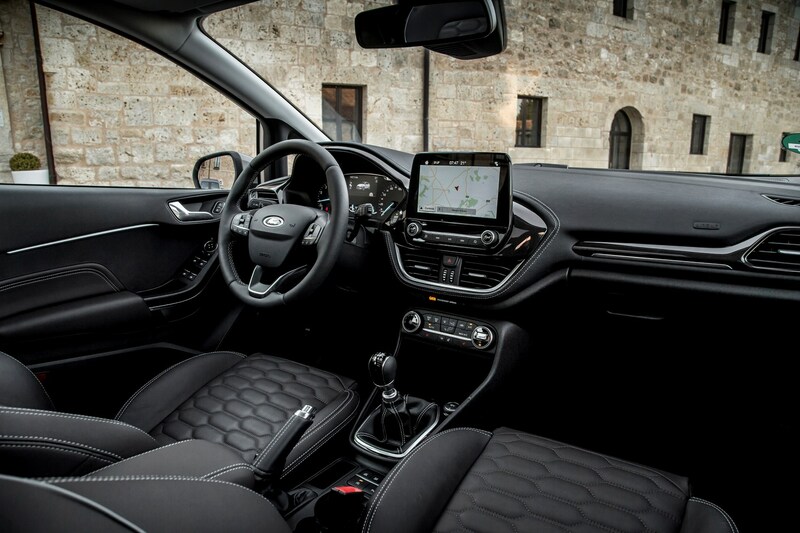 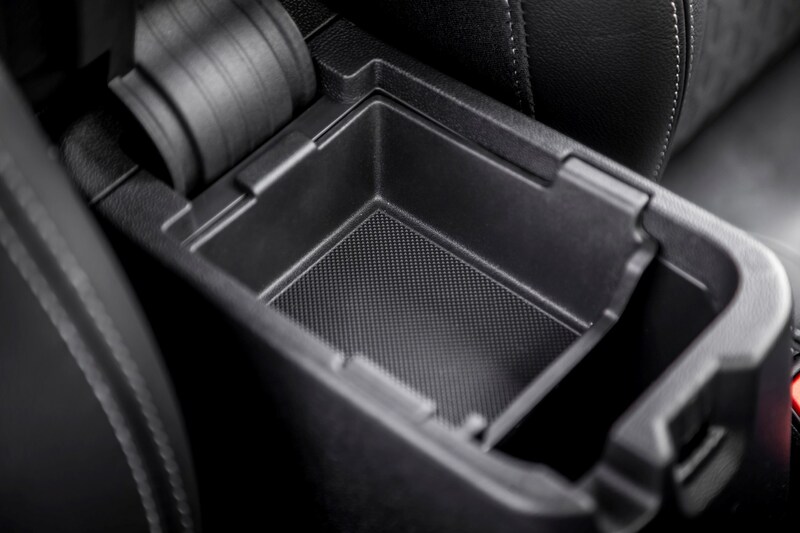 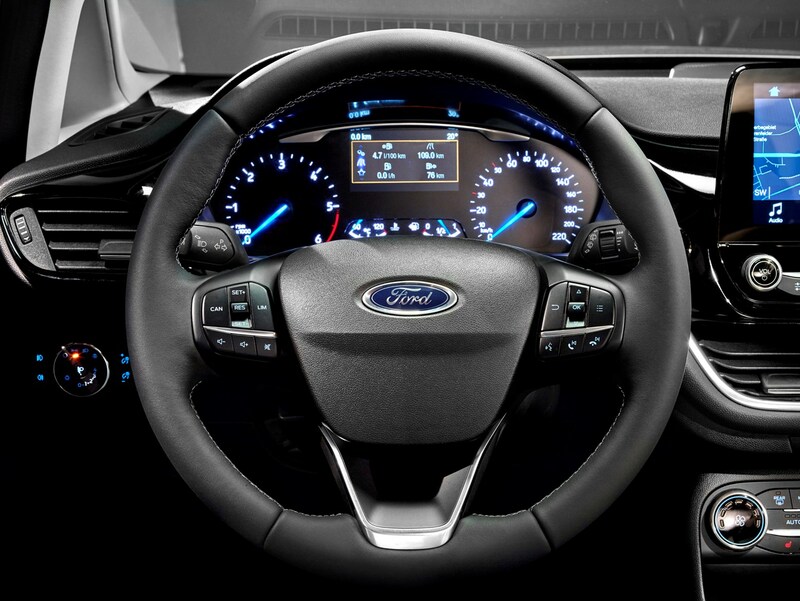 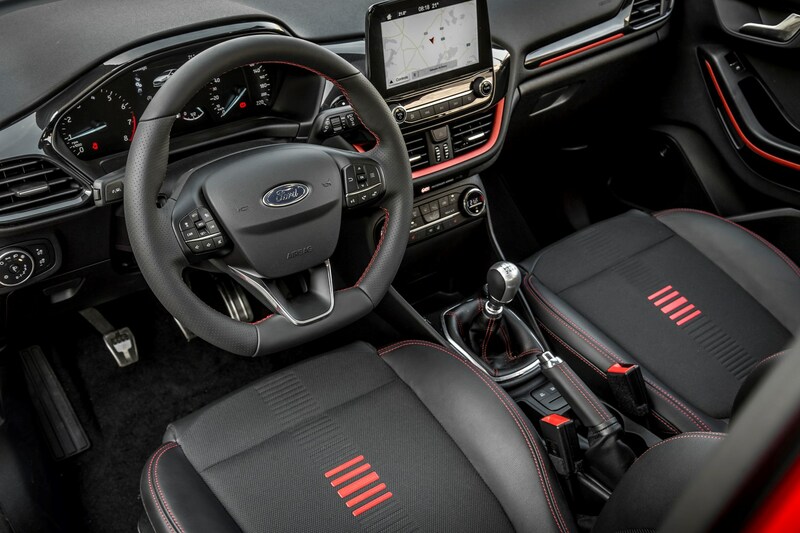 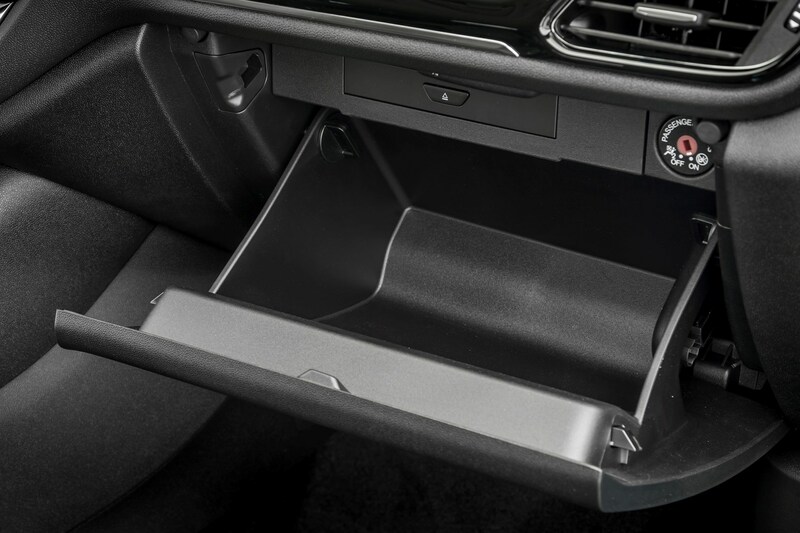 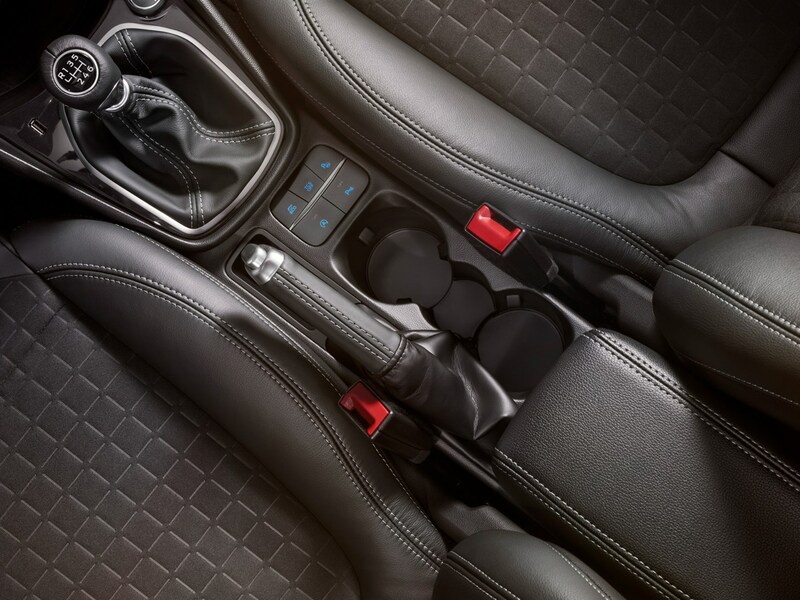 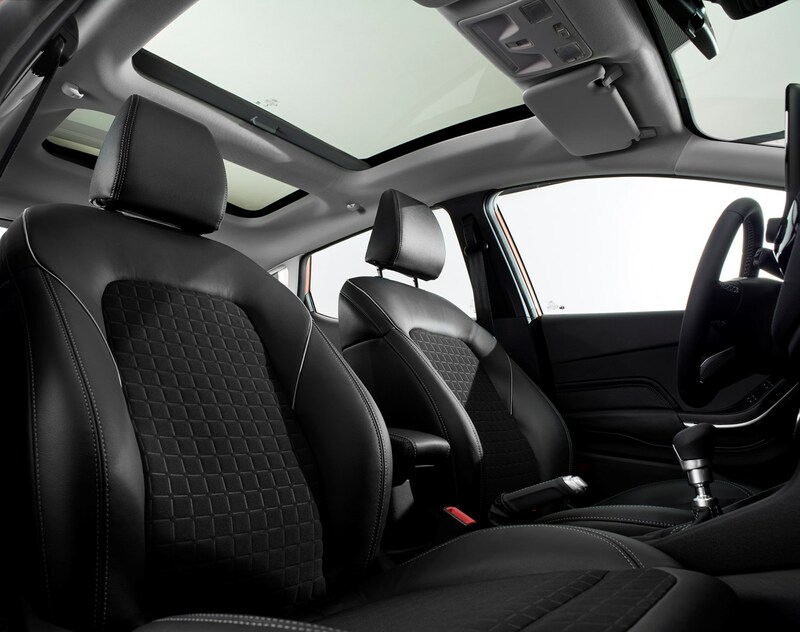 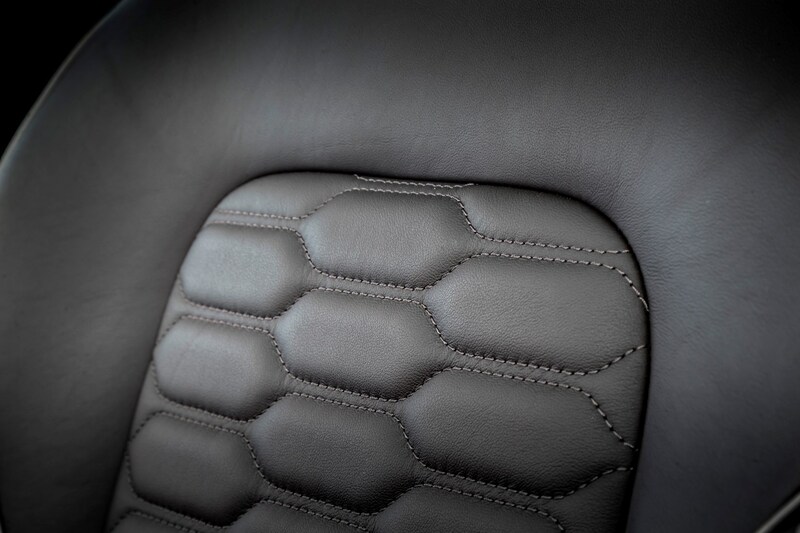 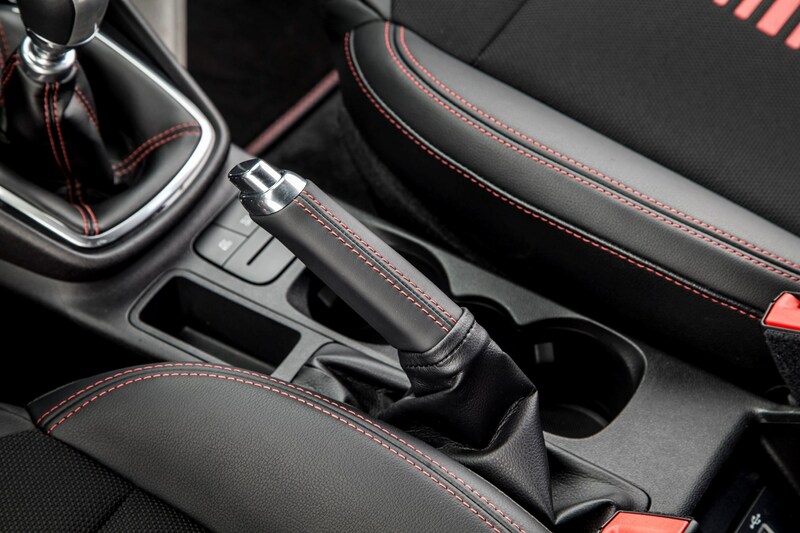 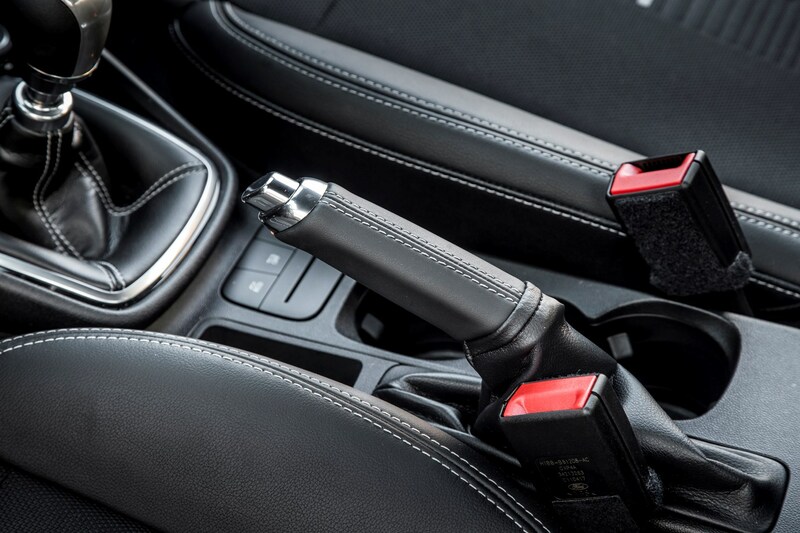 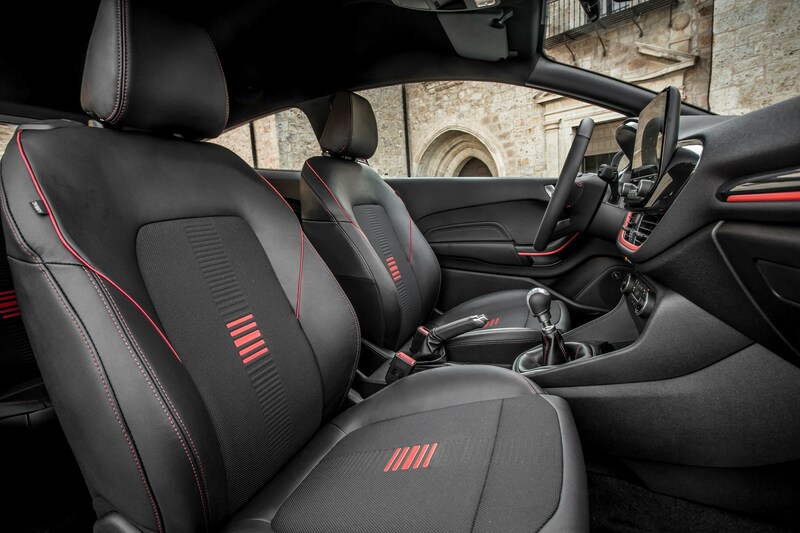 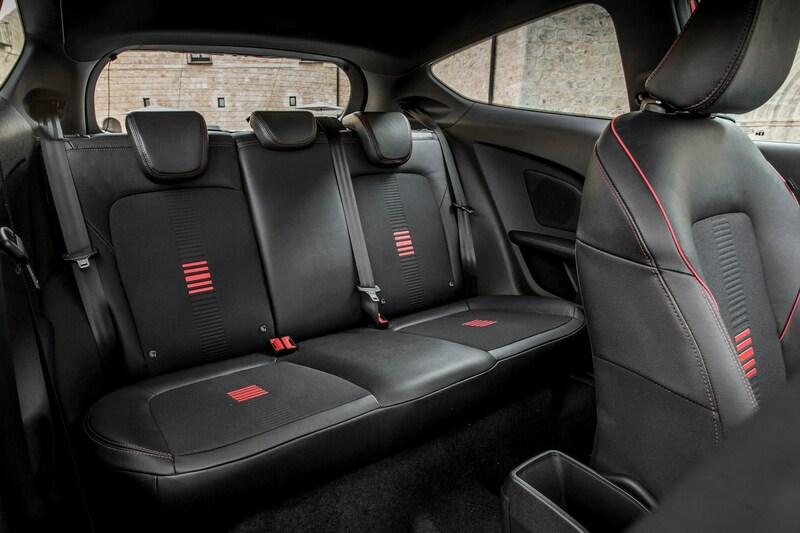 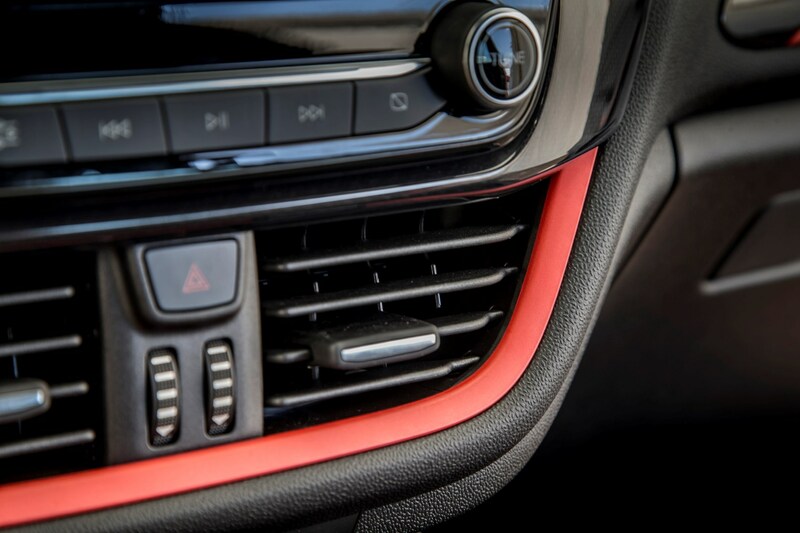 It's not perfect – the interior isn't class-leading in terms of design or quality – and althought it's comfortable, it's not as polished dynamically as we'd like. 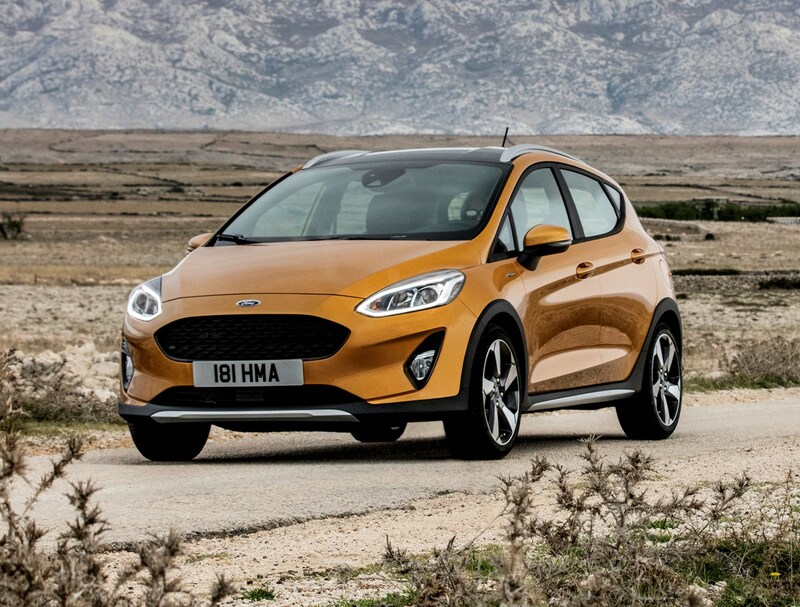 But it's a very good effort, and given the previous-generation model was Britain's bestselling car, it's understandable that Ford stuck to the formula of refining what it had. 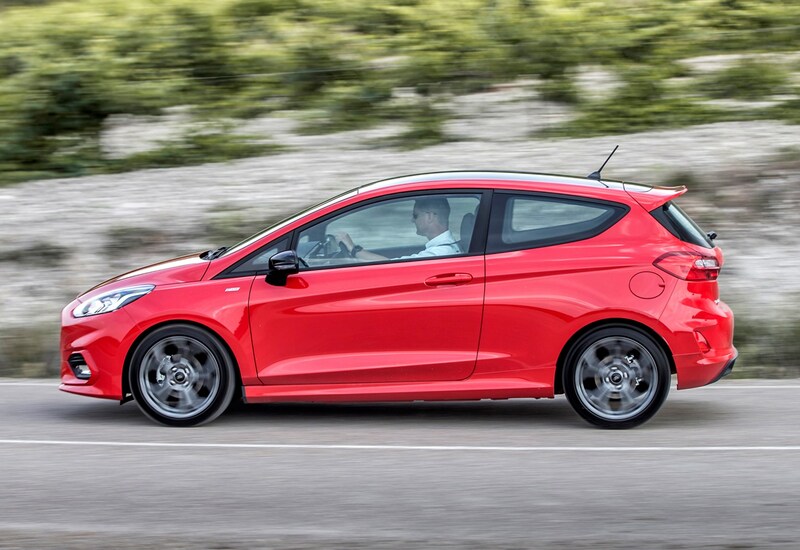 In conclusion, it's up there among the best small hatchbacks you can buy, but it's not decisively head and shoulders above them – as was the 2009 Fiesta when it was launched.